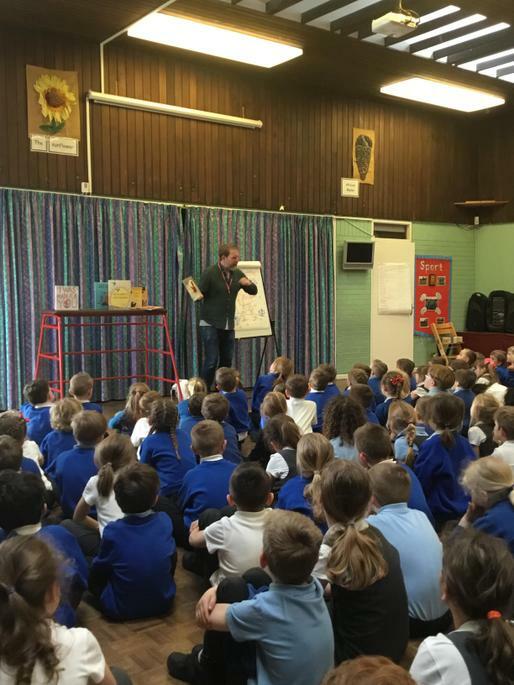 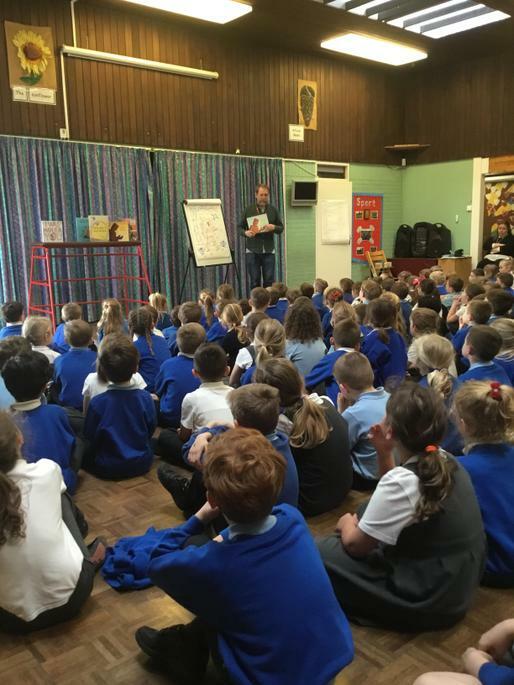 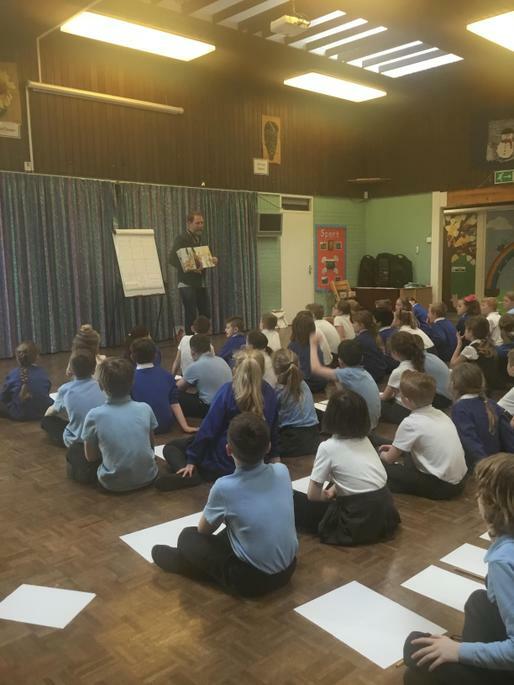 As part of our Book Week, we were excited to have a session with author David Lucas. 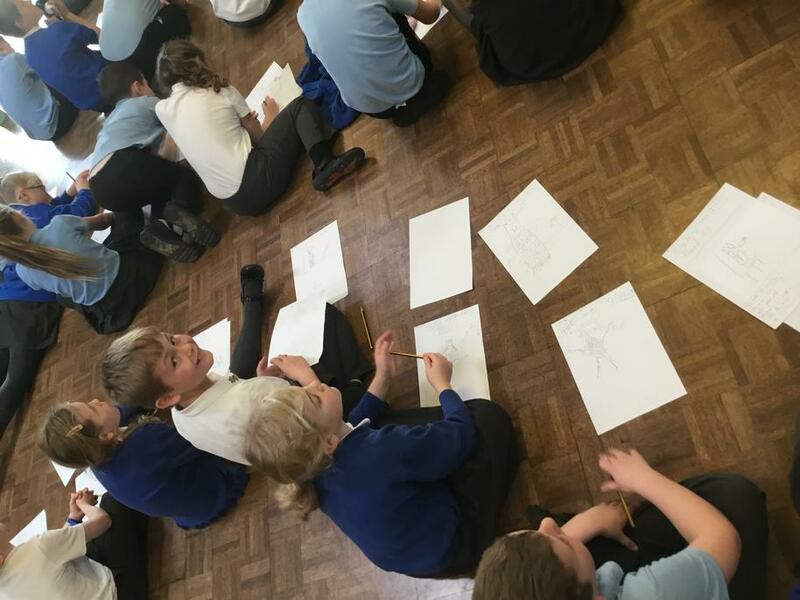 The children had the opportunity to create their own character and learned how to structure a story around their character. 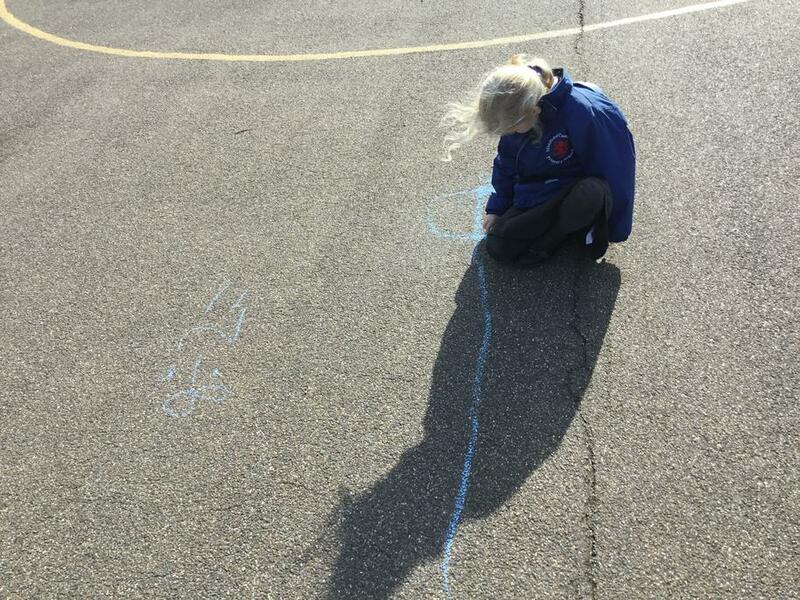 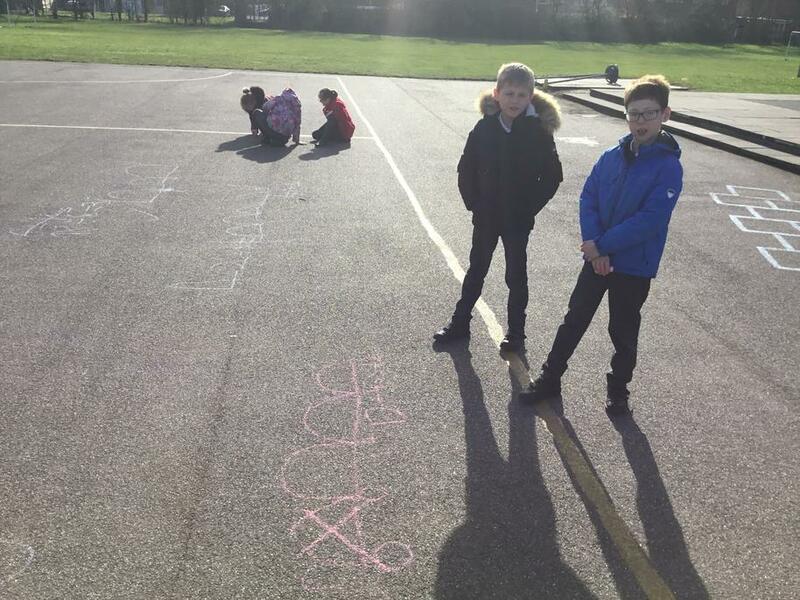 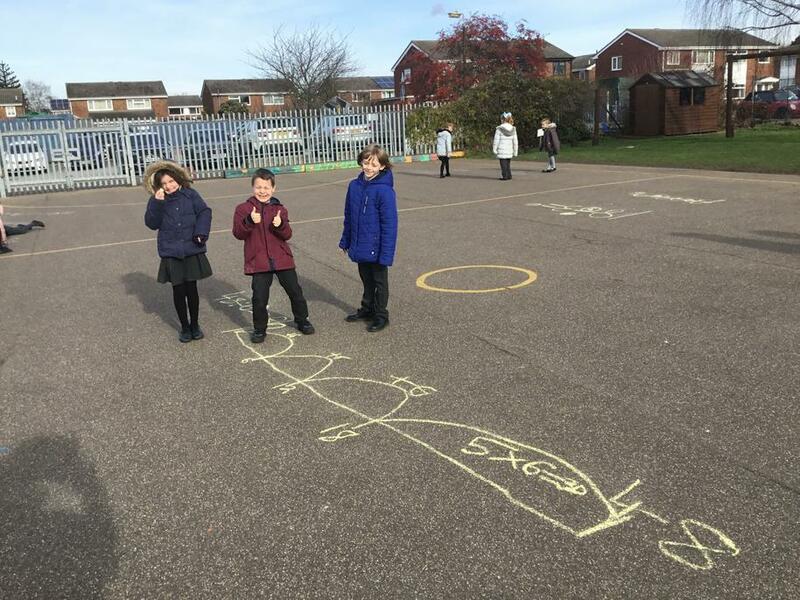 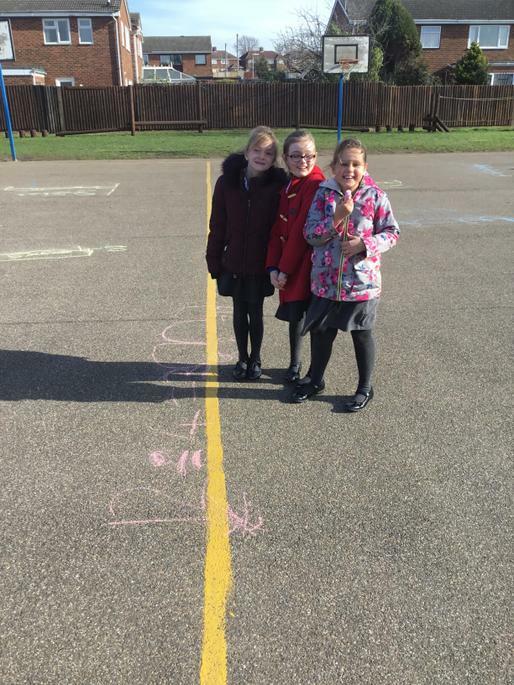 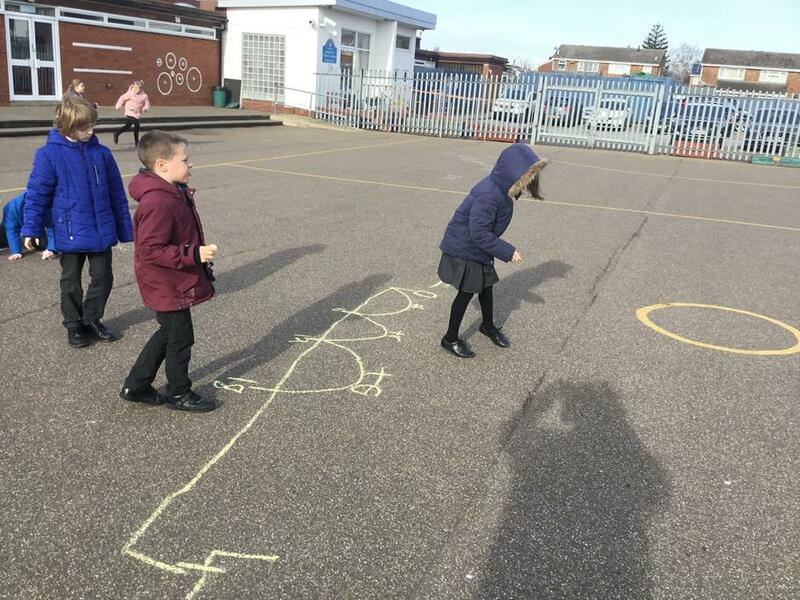 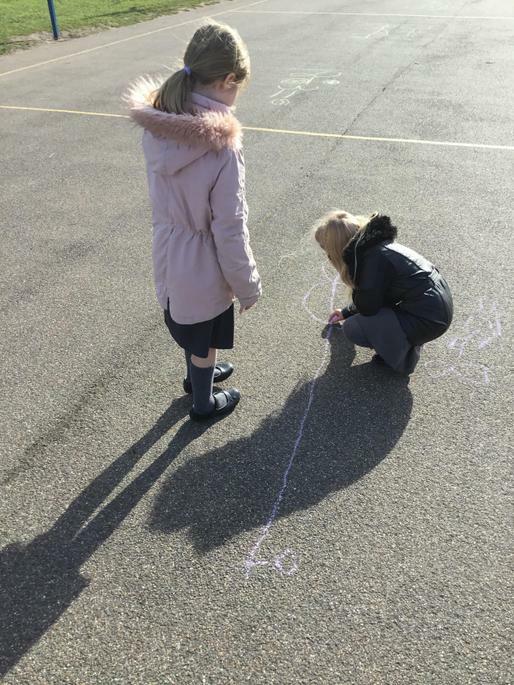 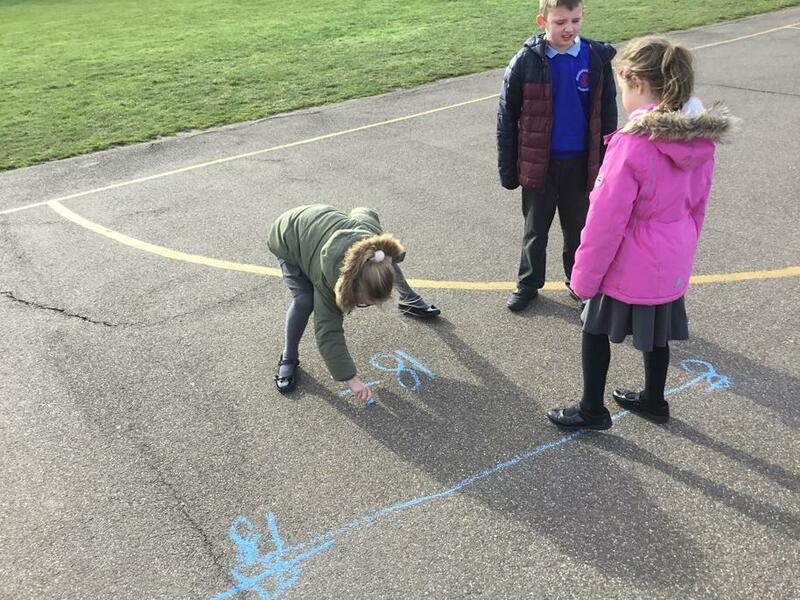 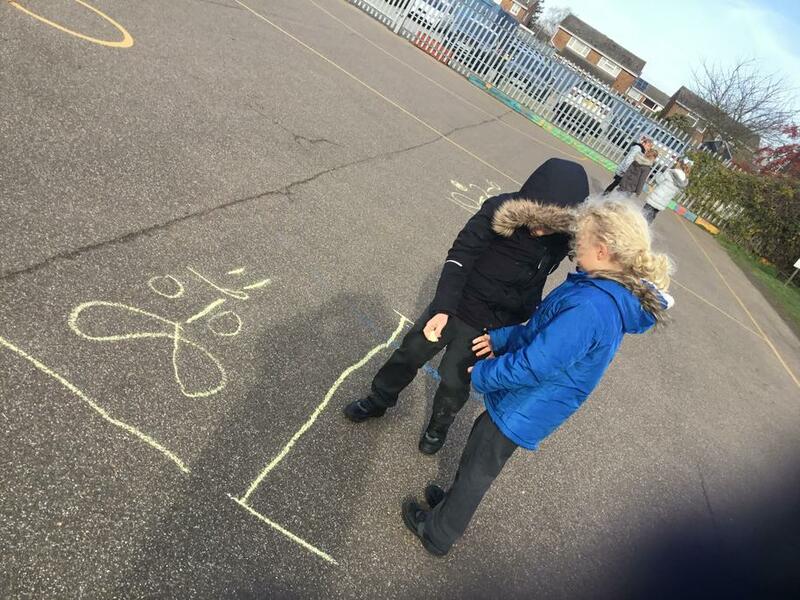 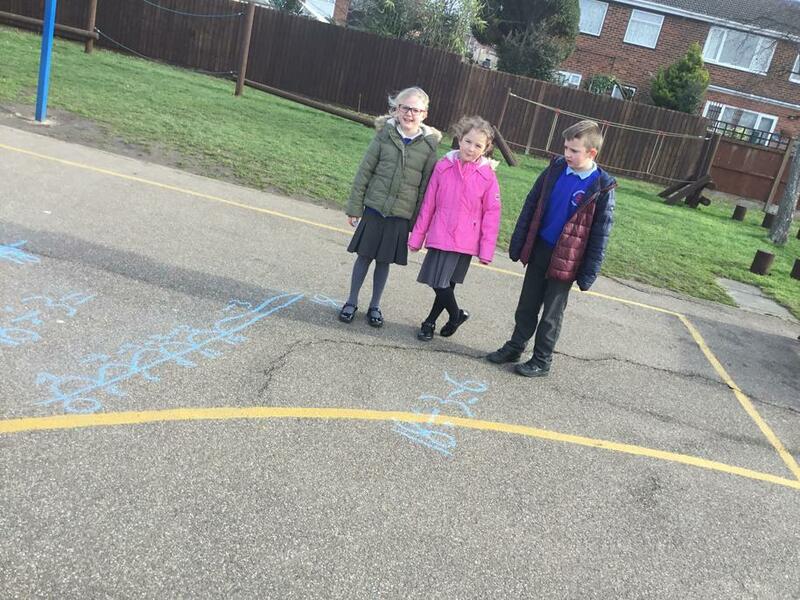 In maths, year three have been using a number line to solve division calculations. 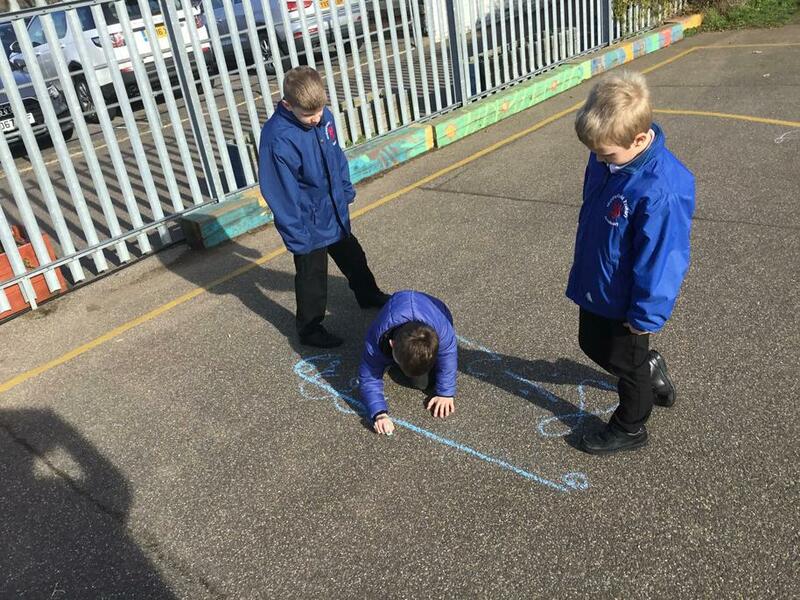 As it was such a nice day, we went outside and worked on the playground! 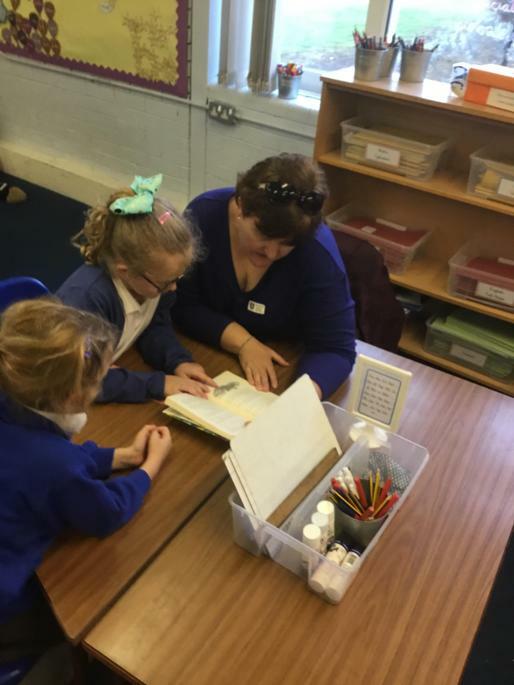 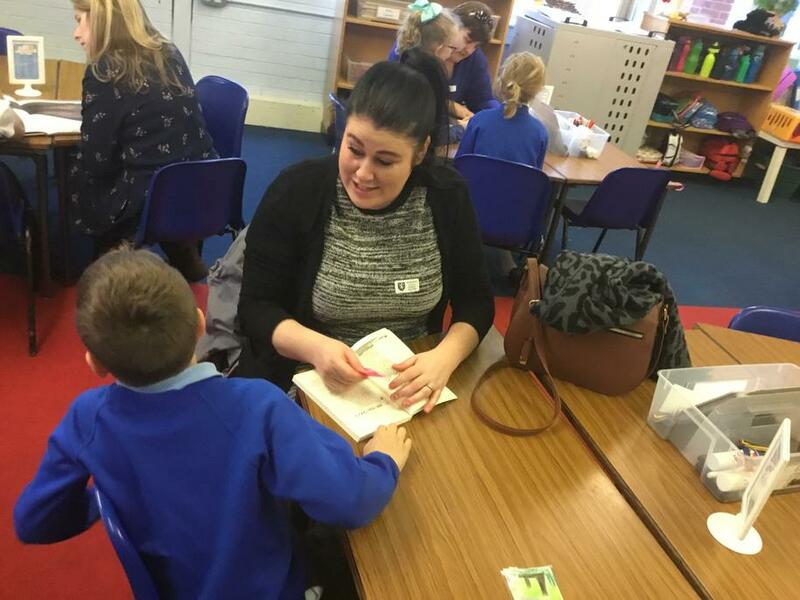 A big thank you to the grown ups who came in to join us for our reading session. 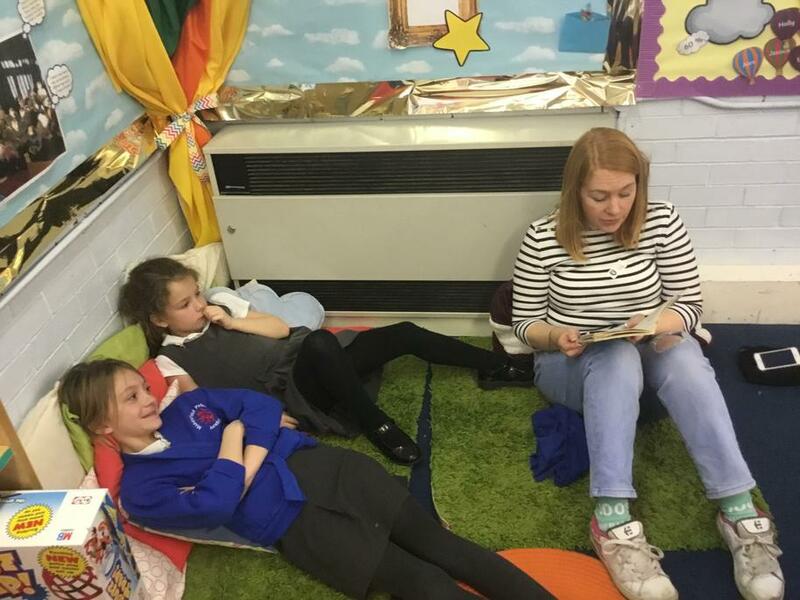 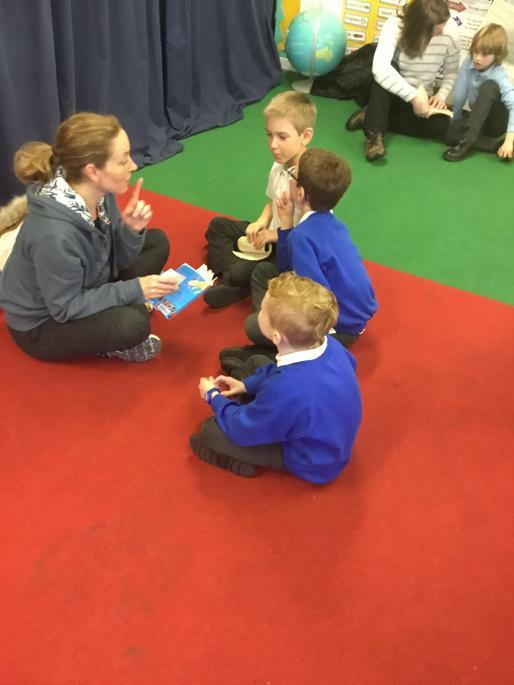 The children enjoyed listening to the different stories and showing off their reading skills. 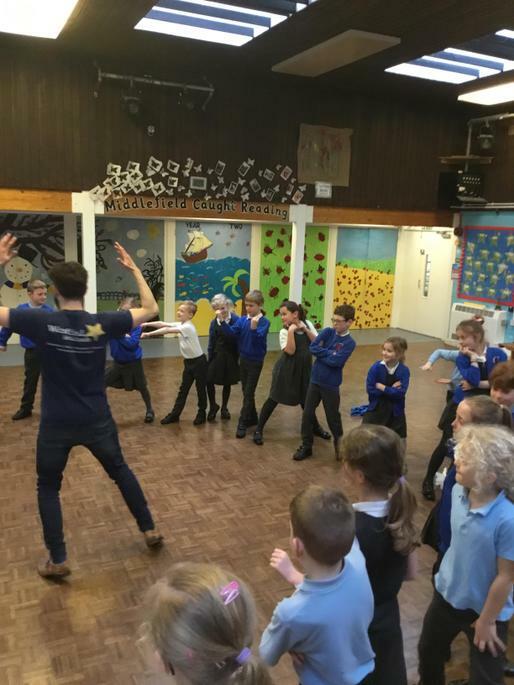 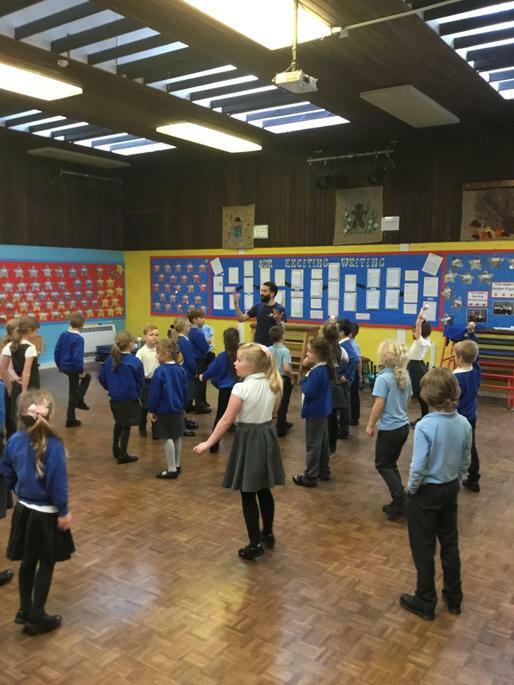 At Middlefield, we were lucky enough to spend time with a West End actor. 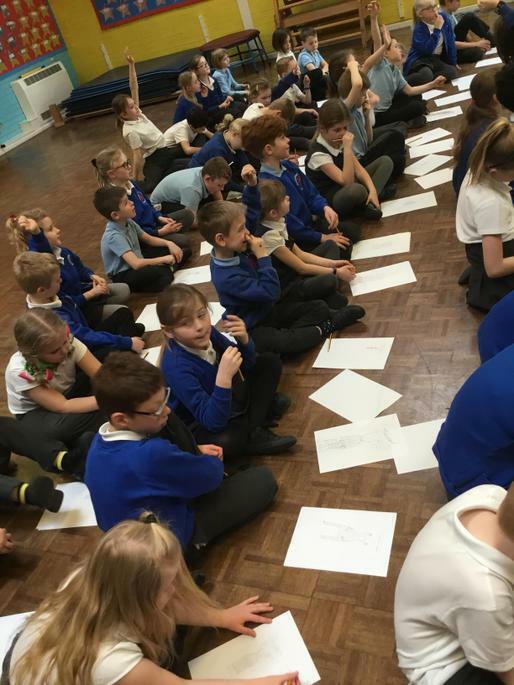 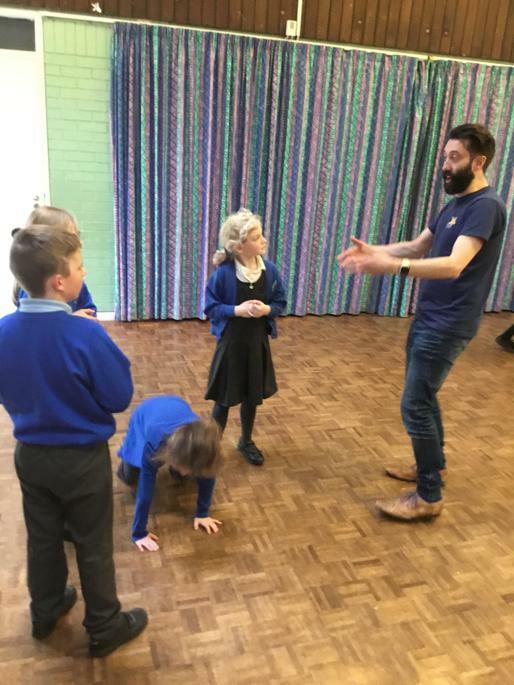 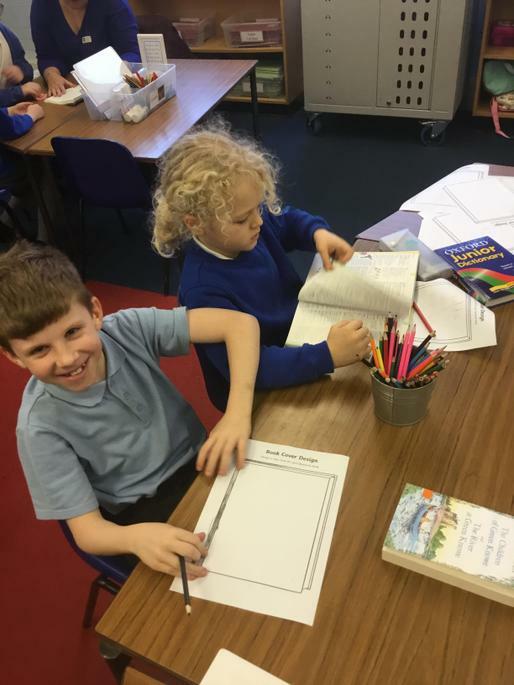 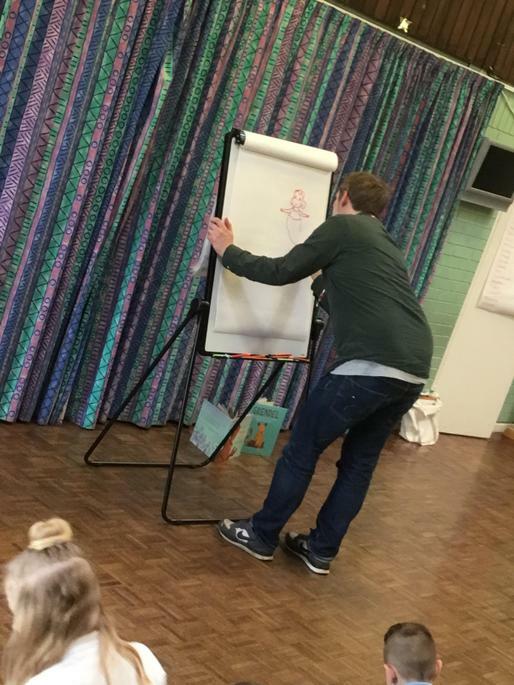 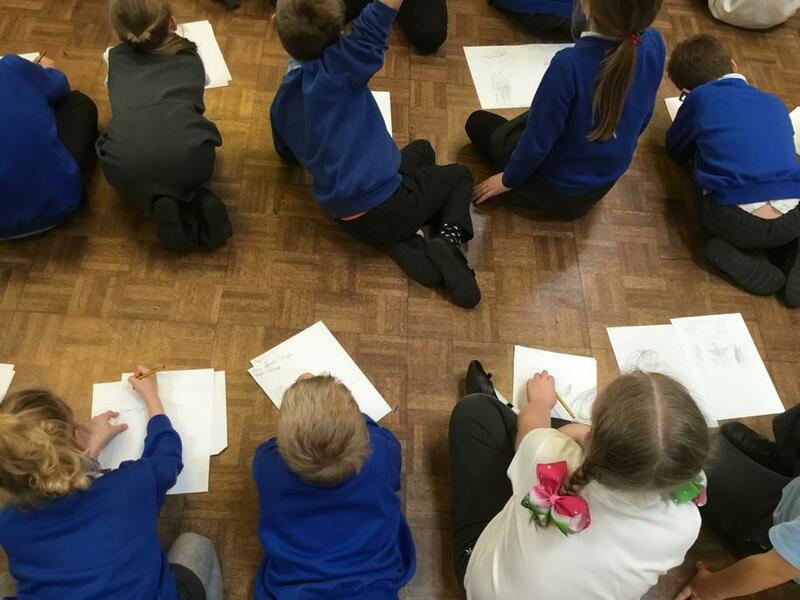 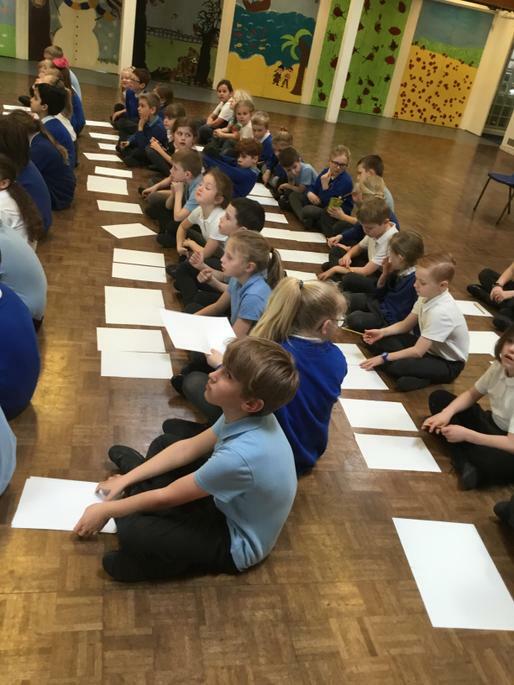 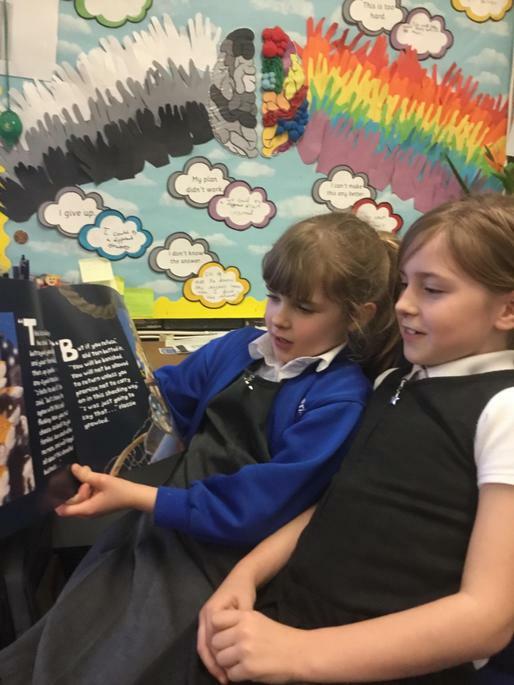 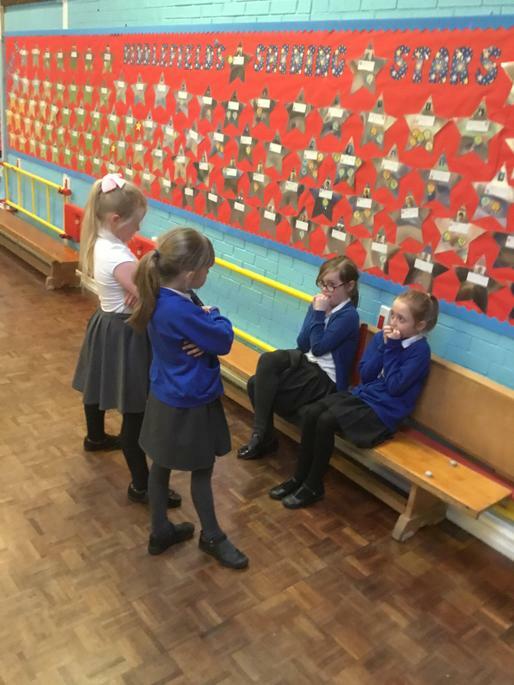 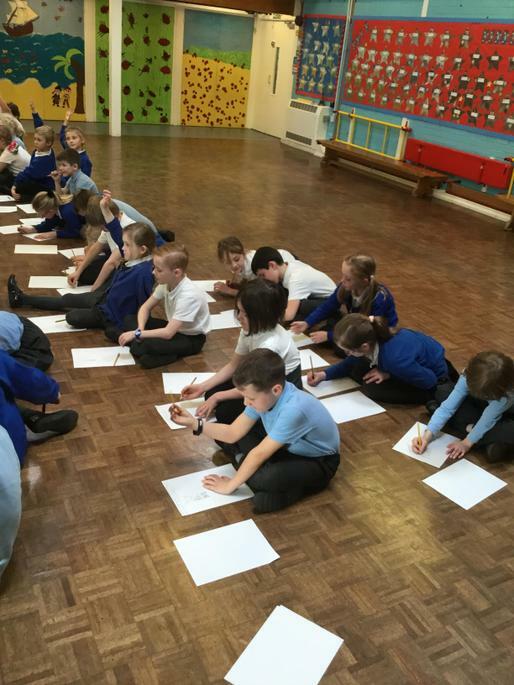 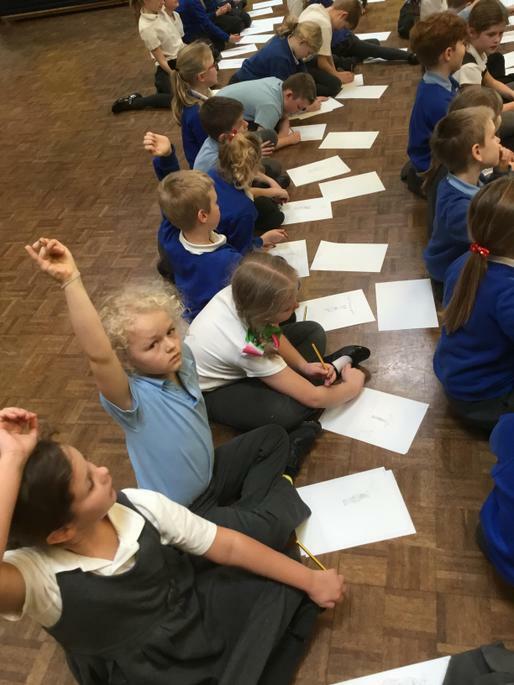 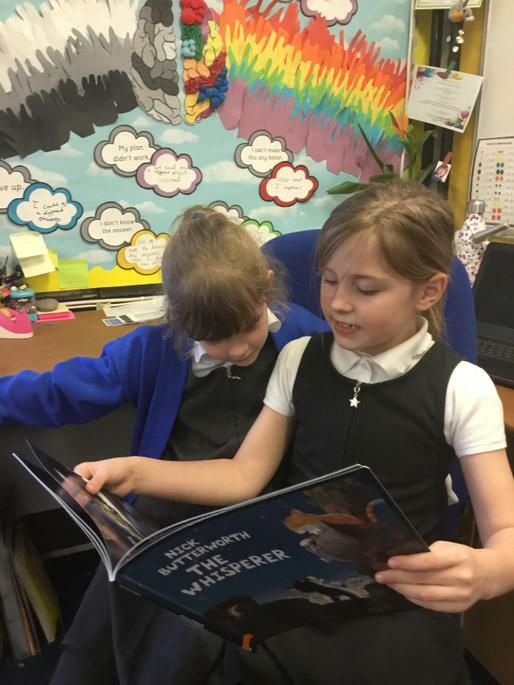 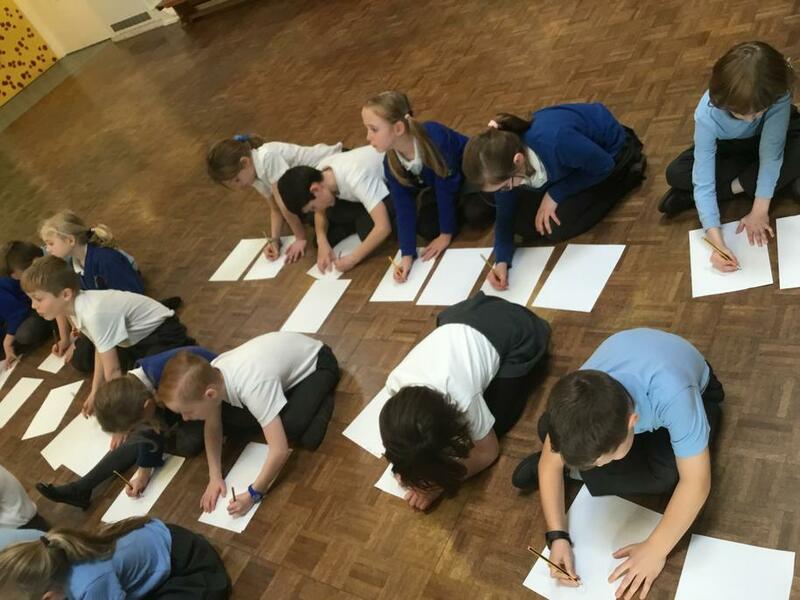 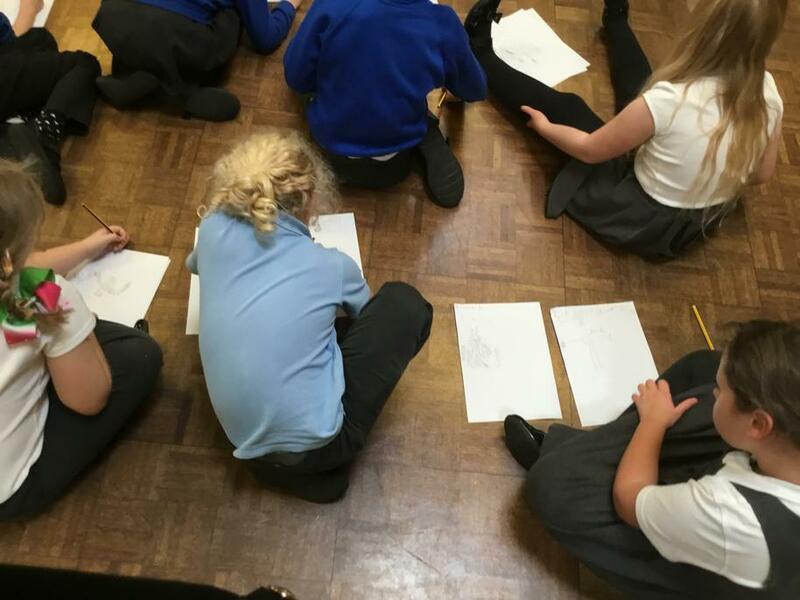 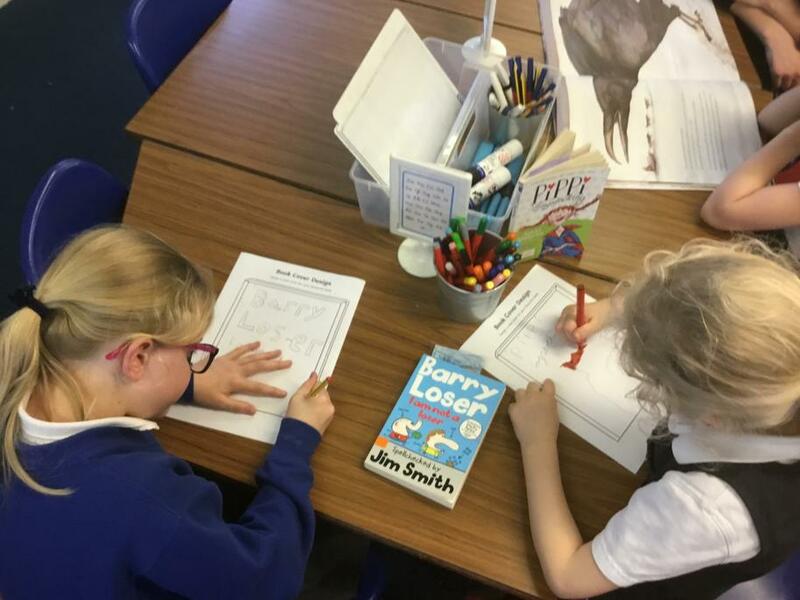 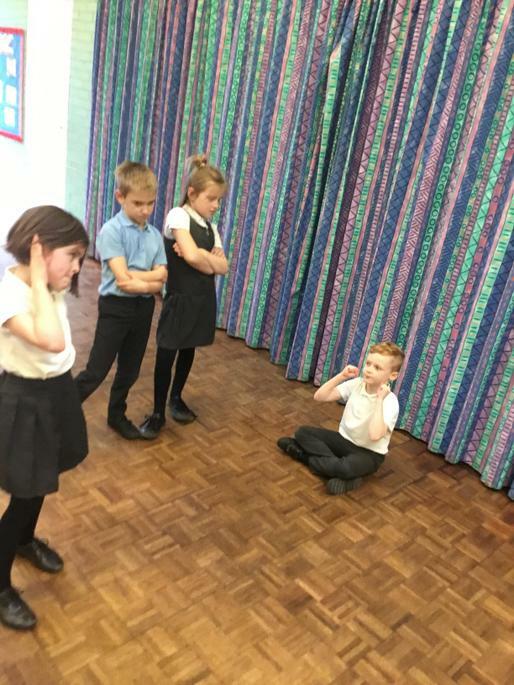 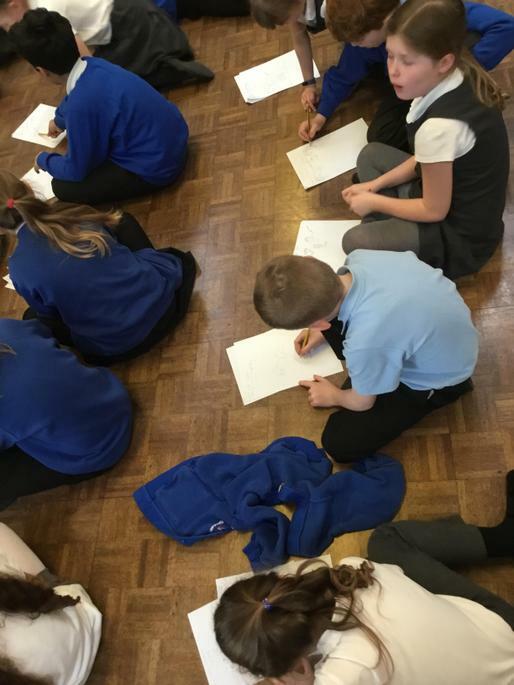 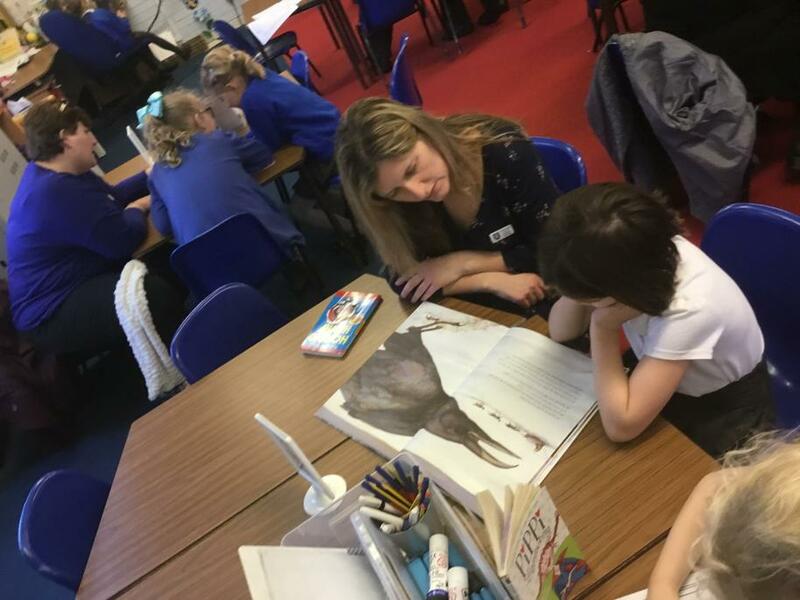 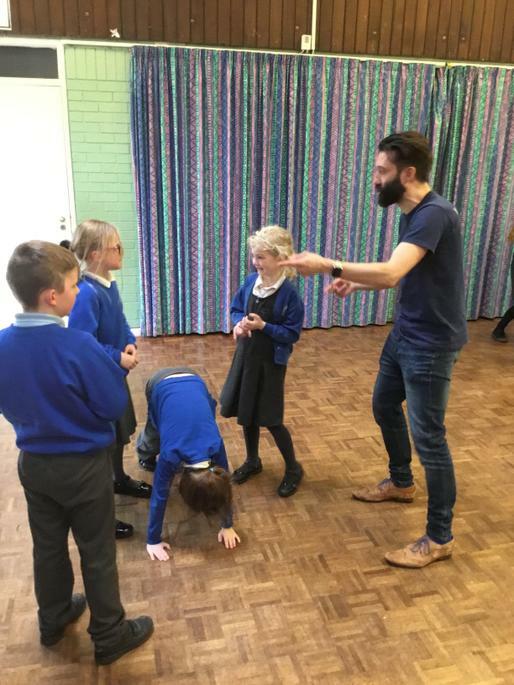 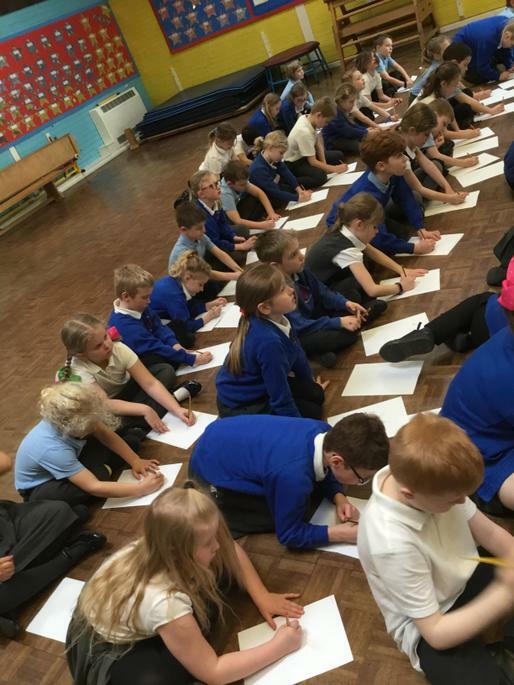 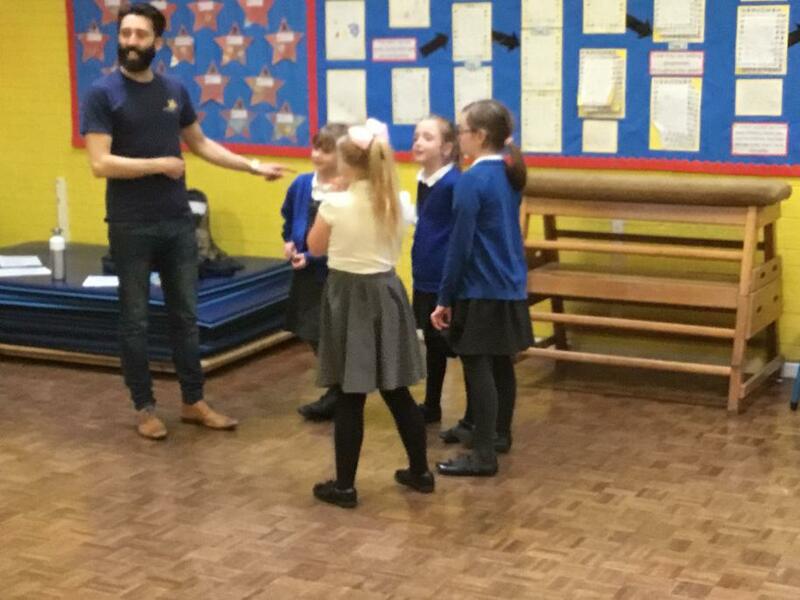 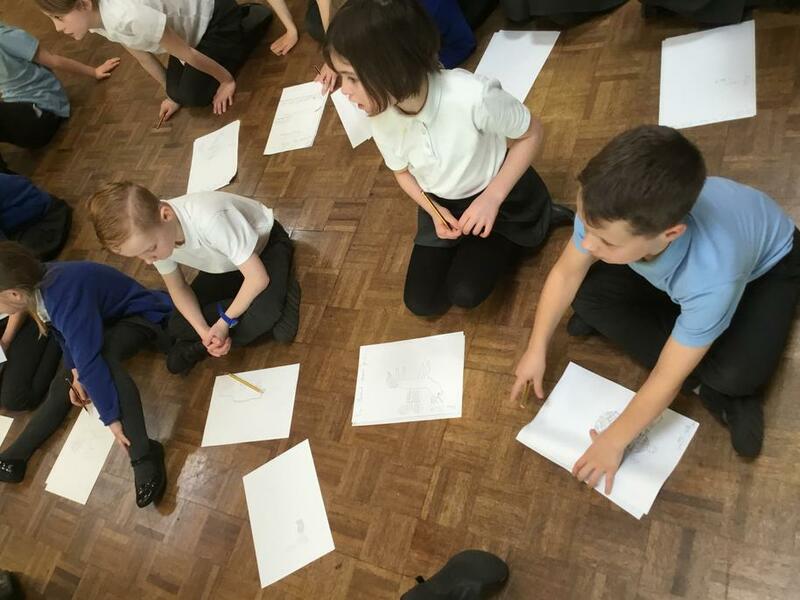 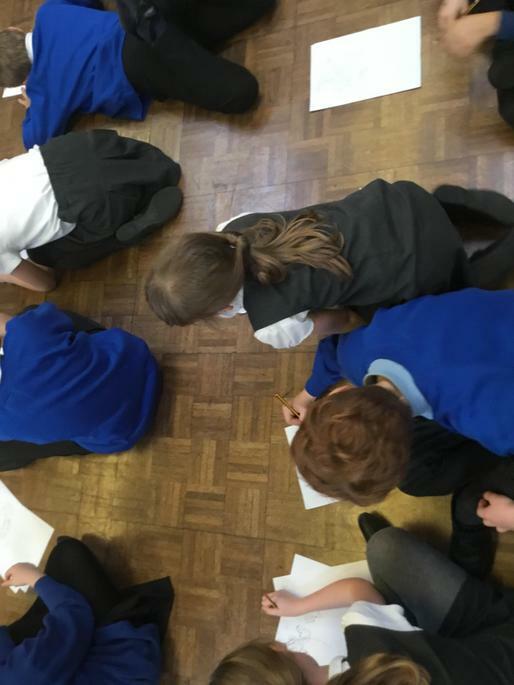 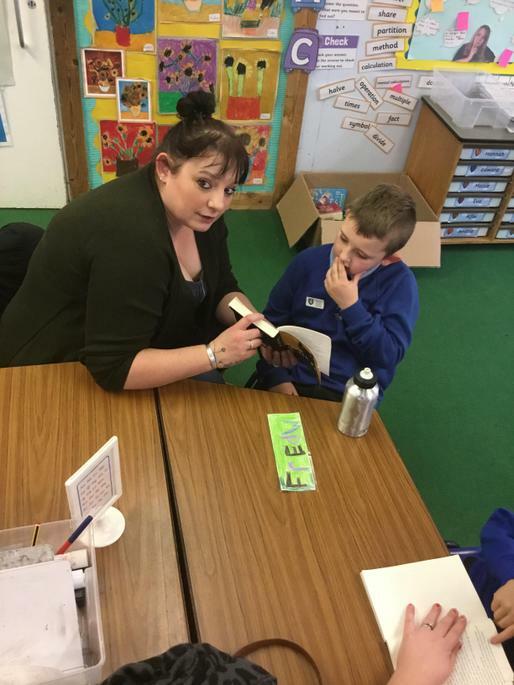 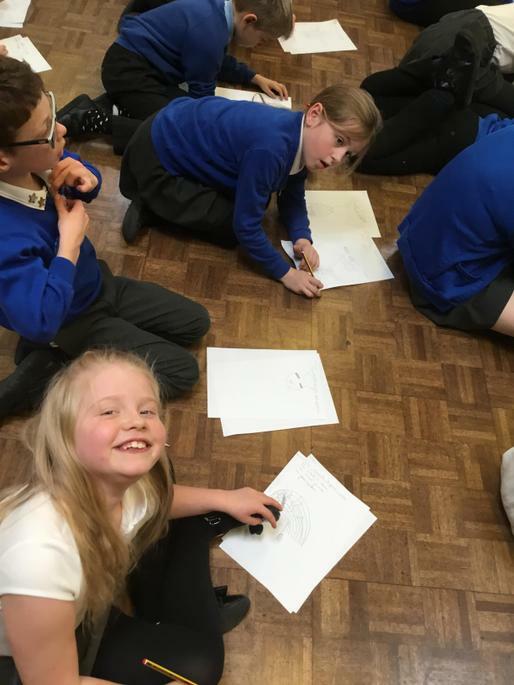 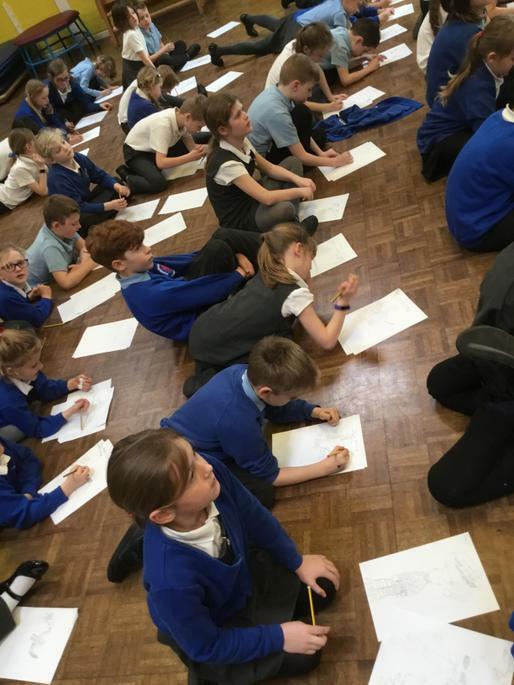 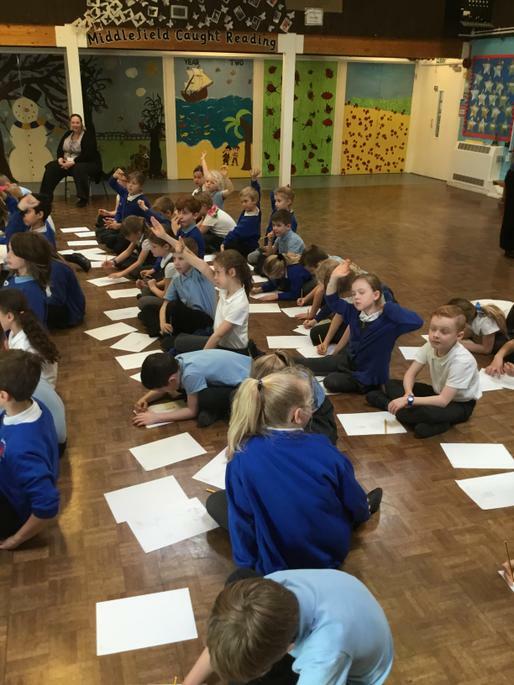 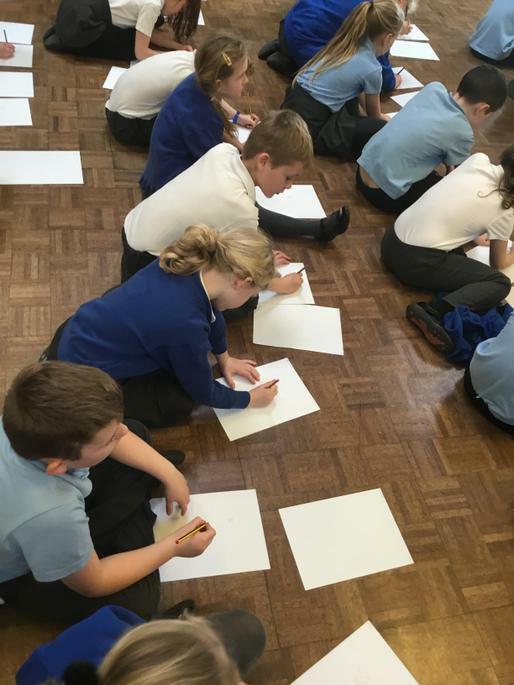 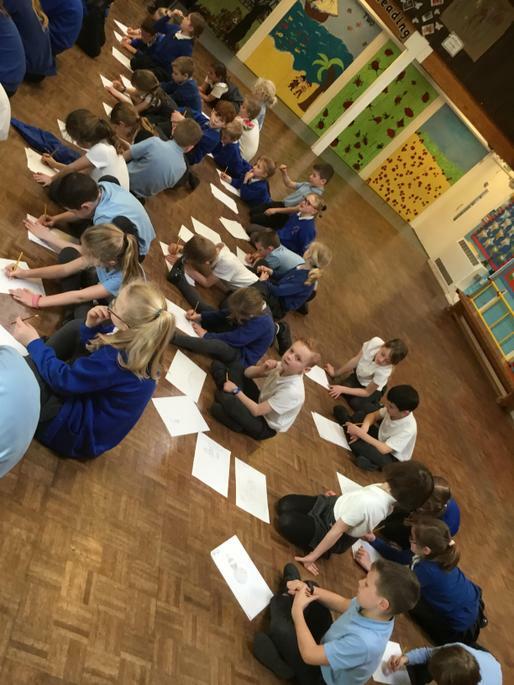 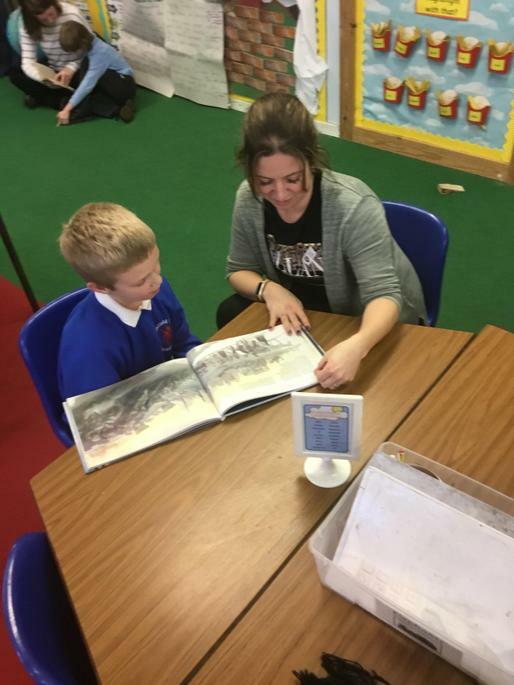 During the workshop session, year three looked at the story of the book ‘Billionaire Boy’ by David Walliams. 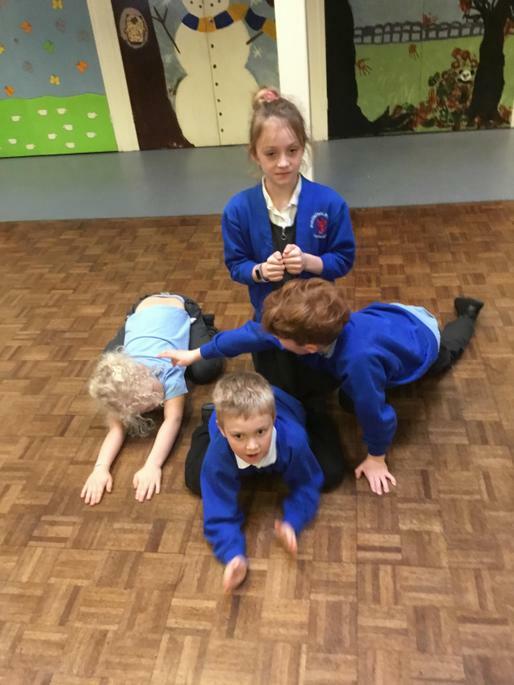 The children used themselves and each other to make a number of scenes from they book. 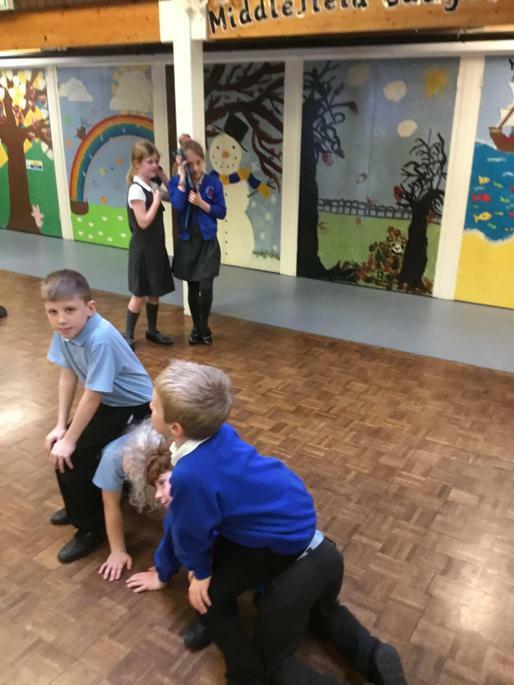 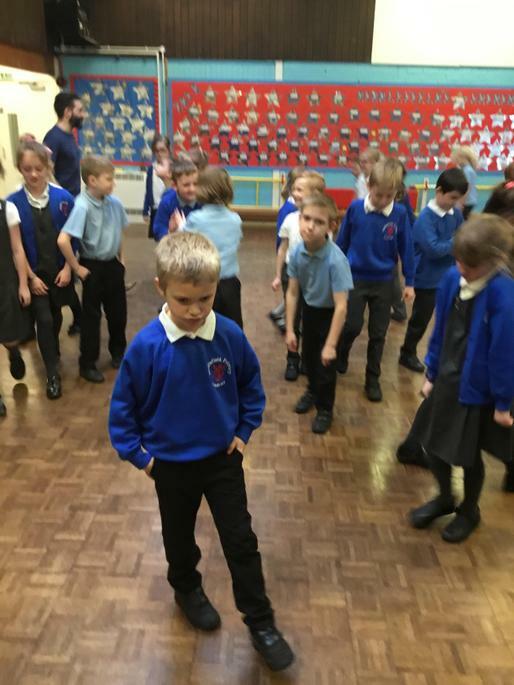 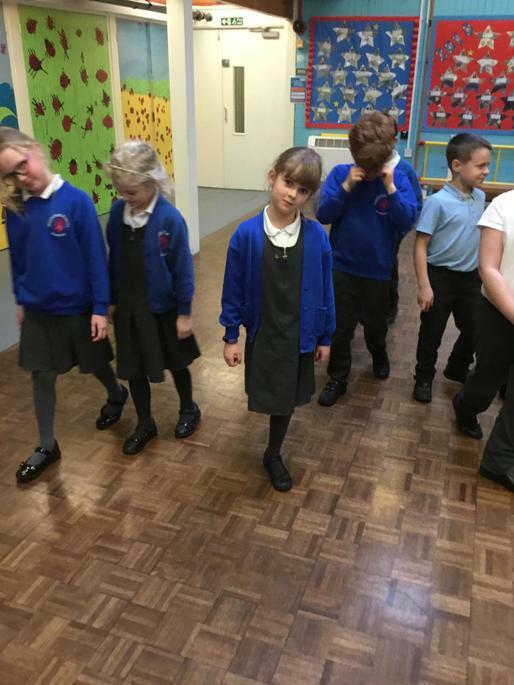 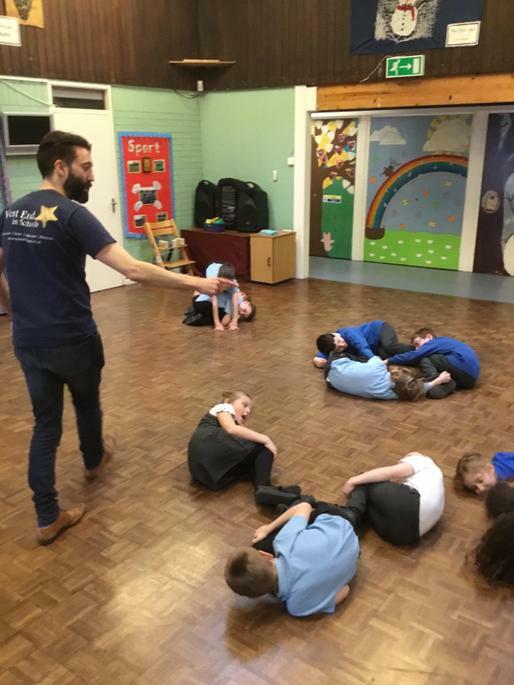 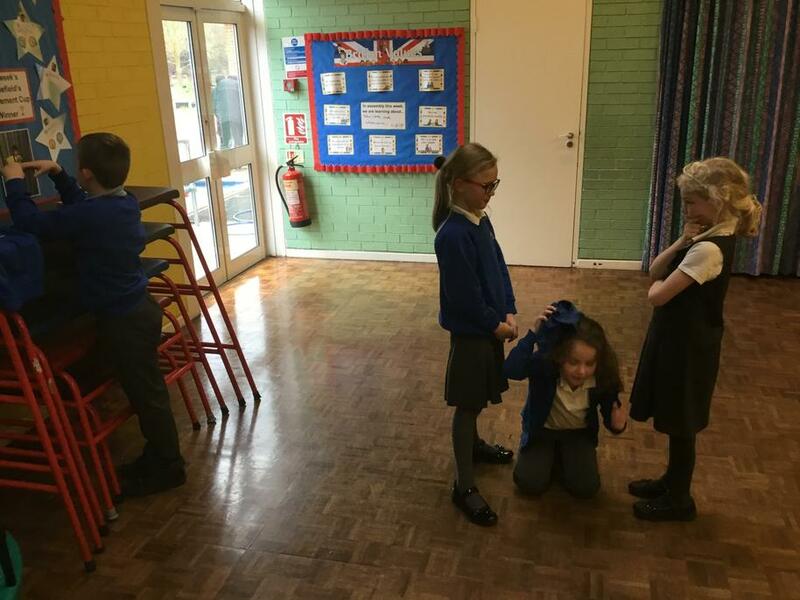 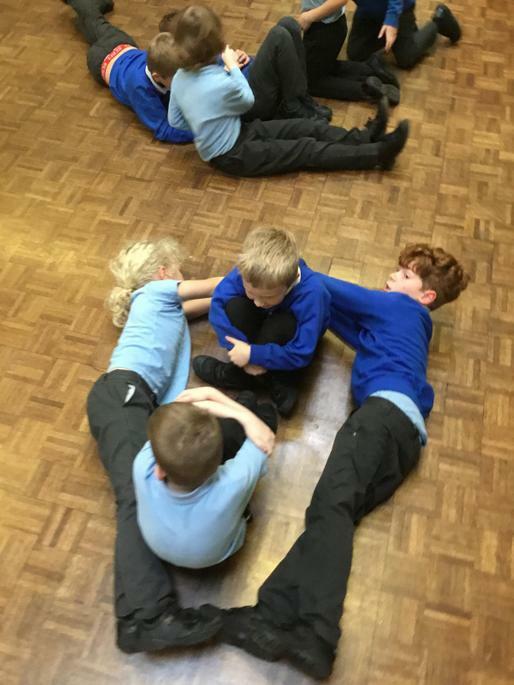 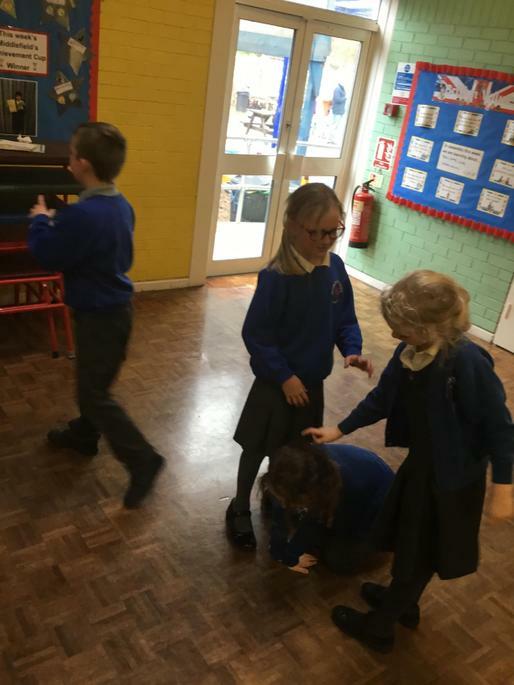 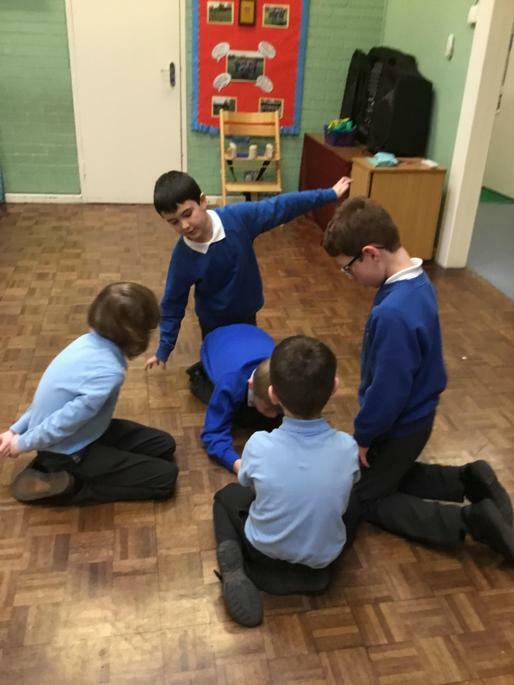 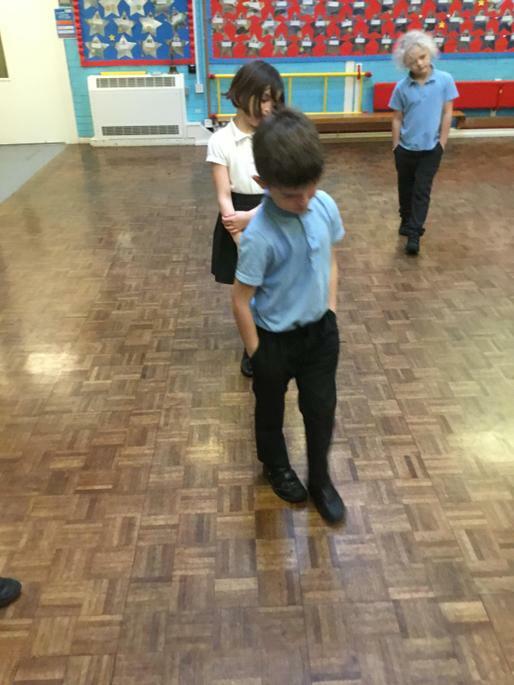 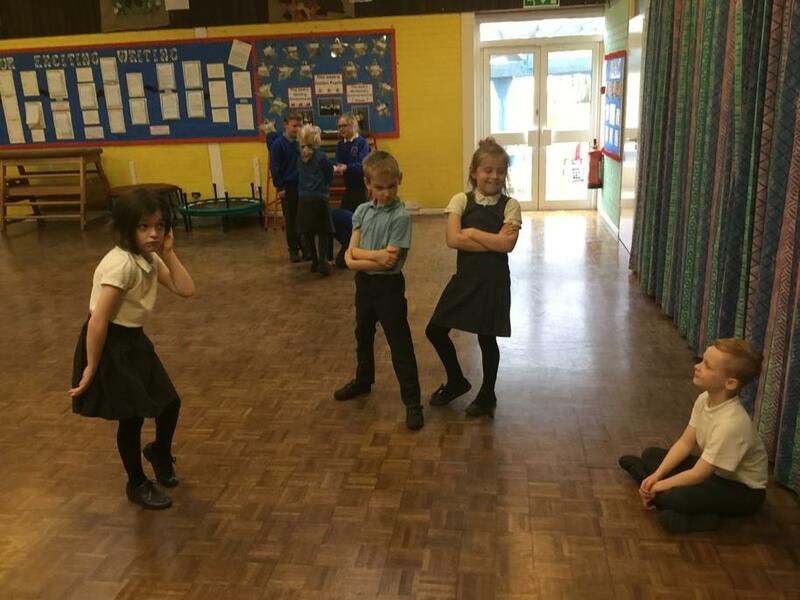 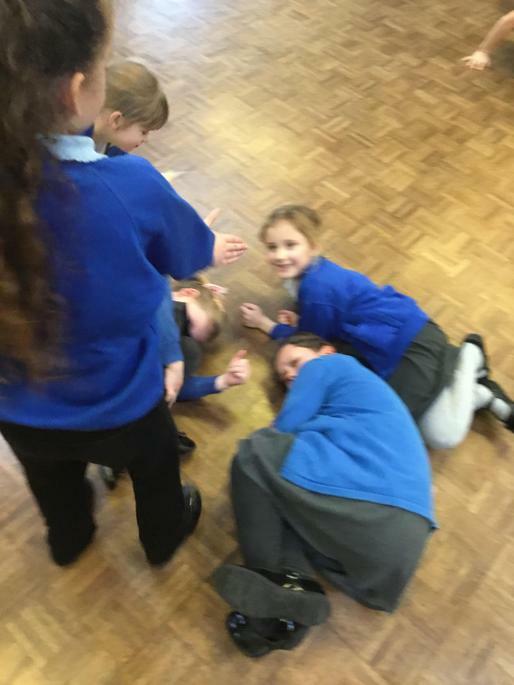 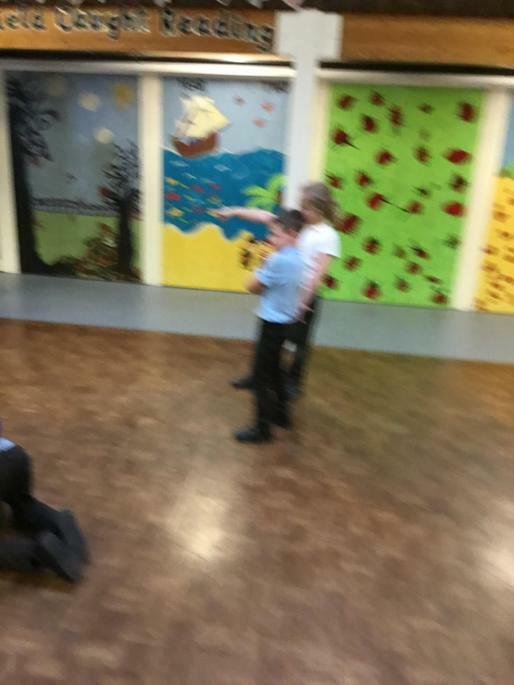 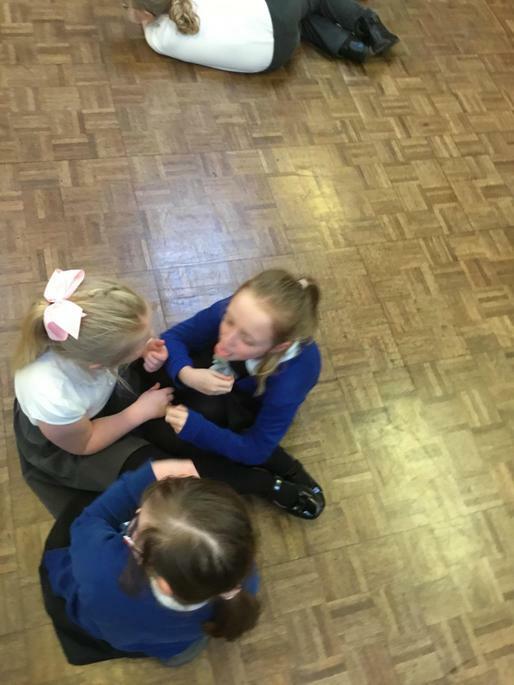 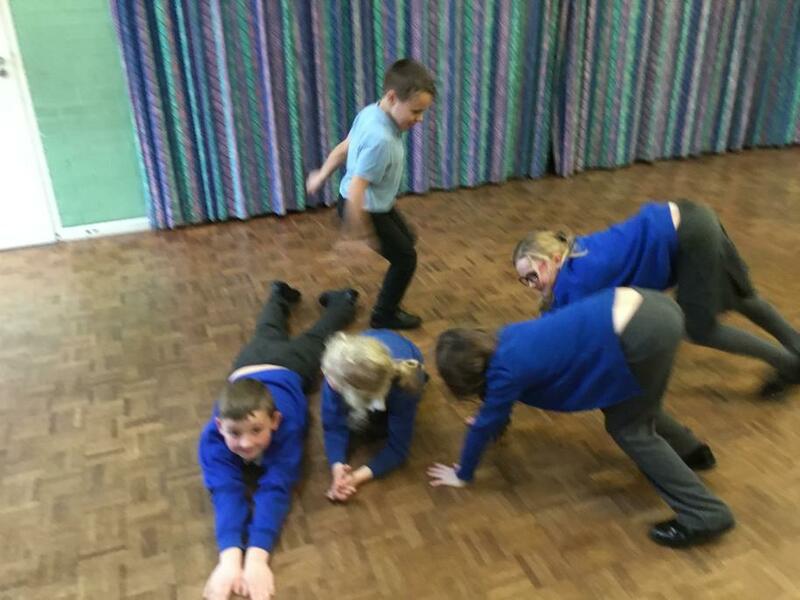 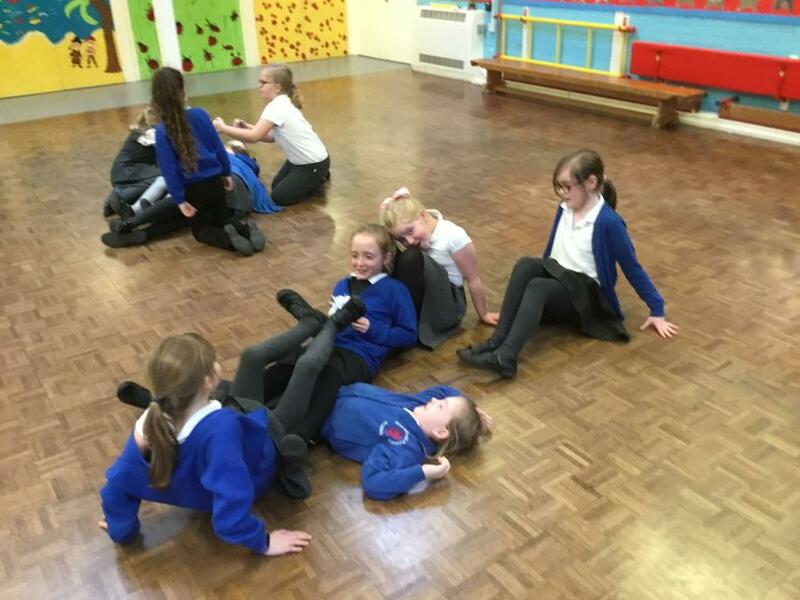 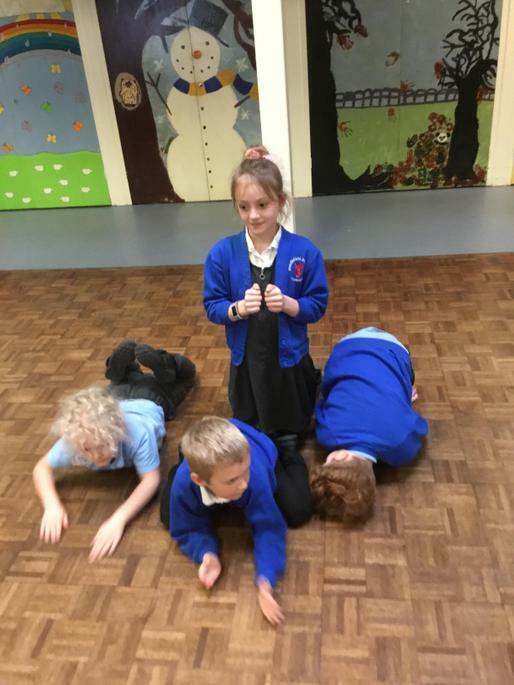 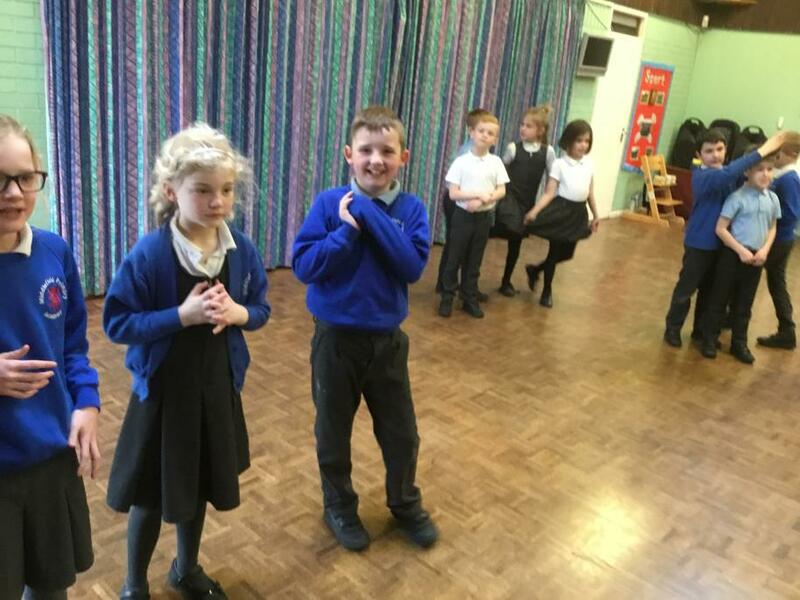 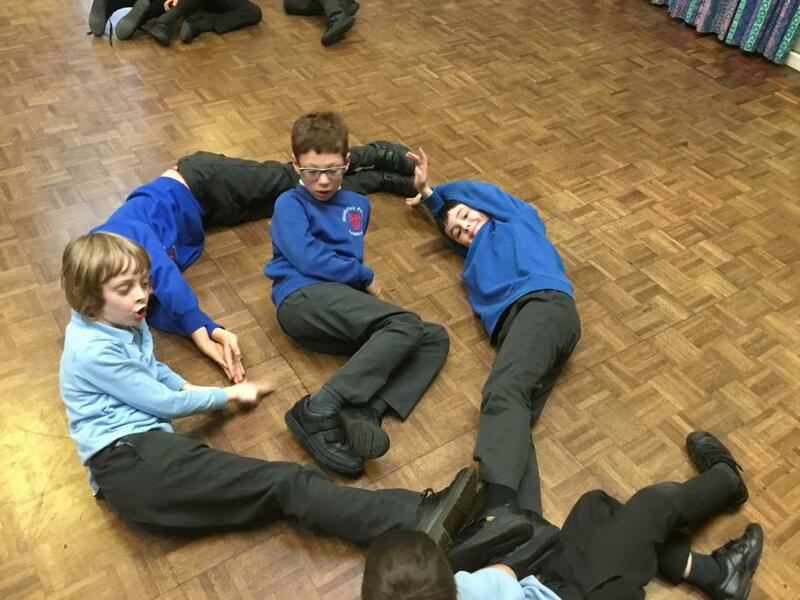 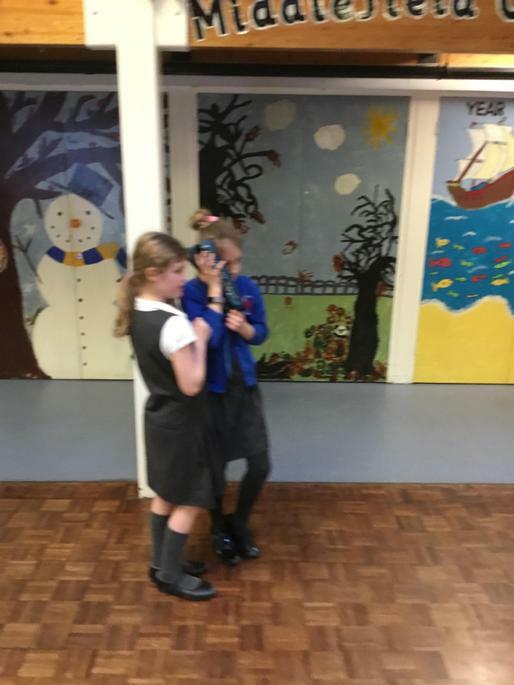 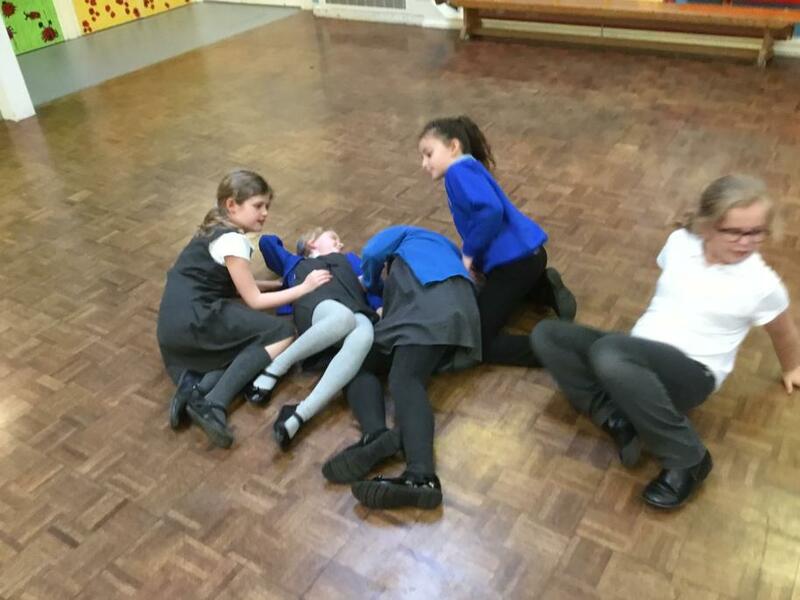 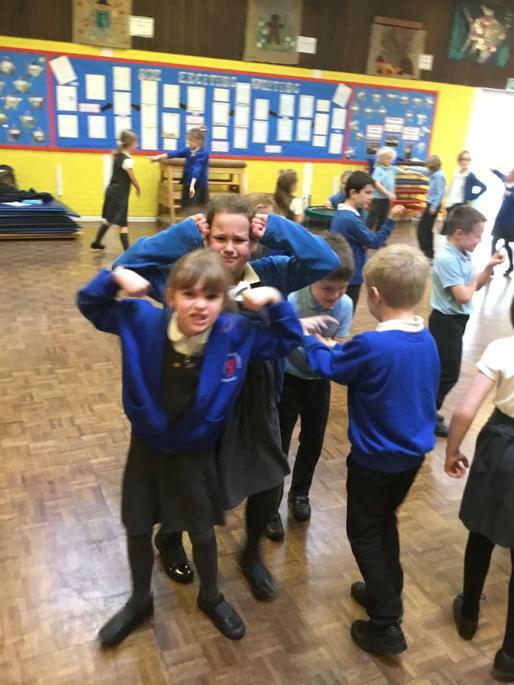 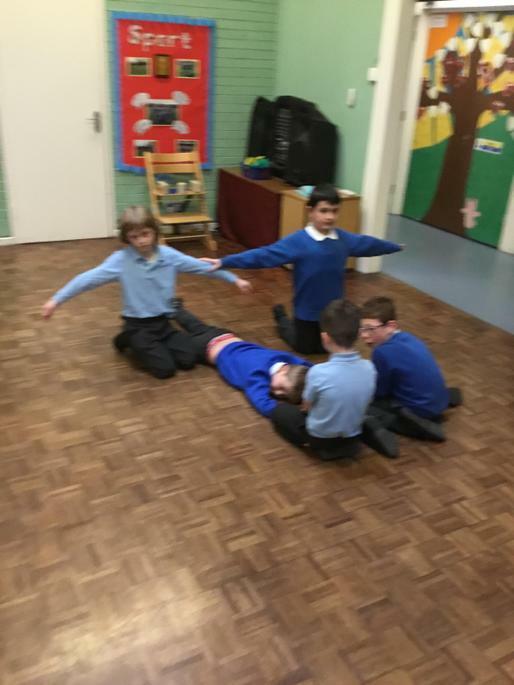 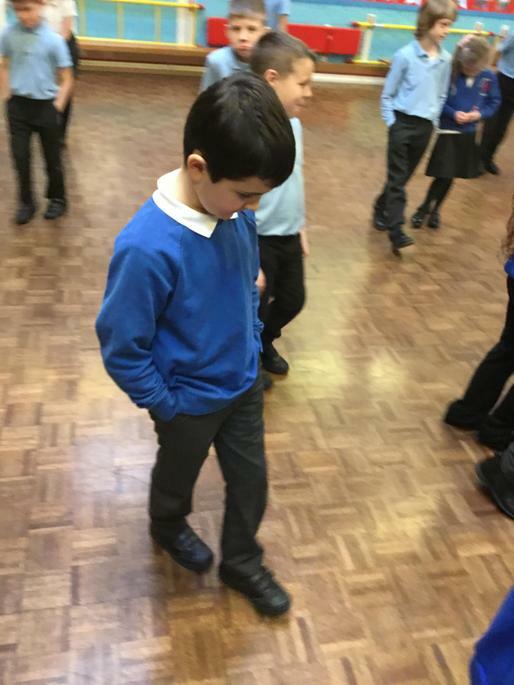 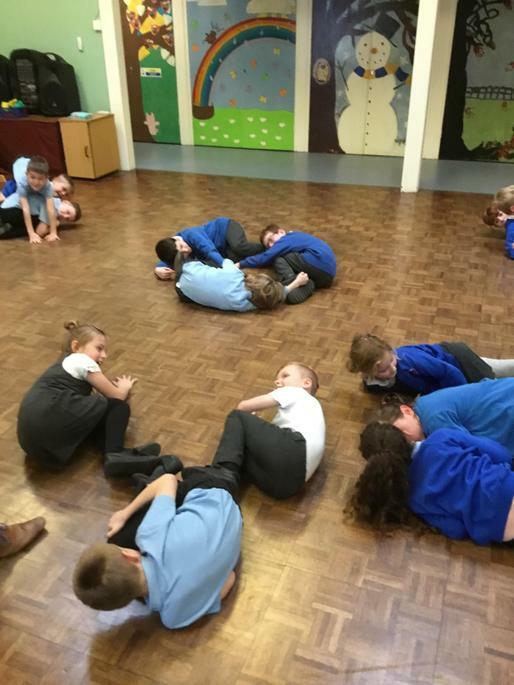 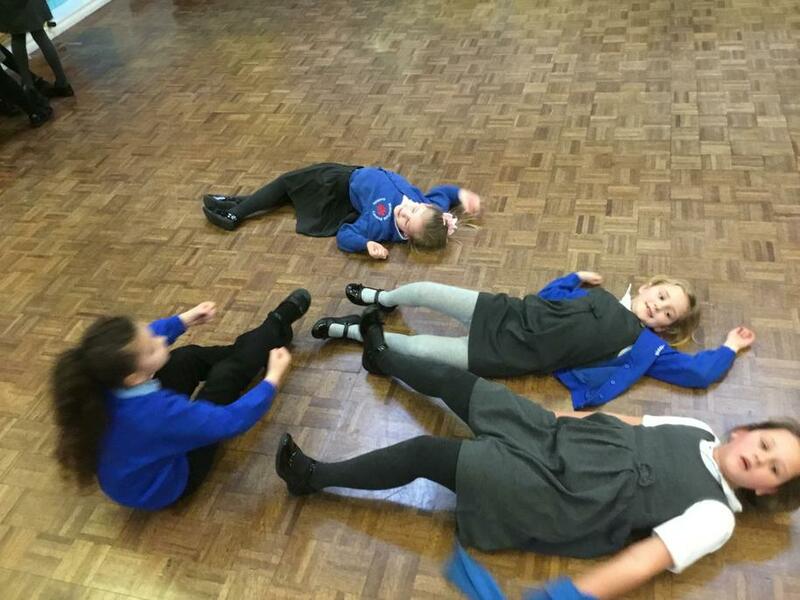 They also practised using their bodies to help them get in to character. 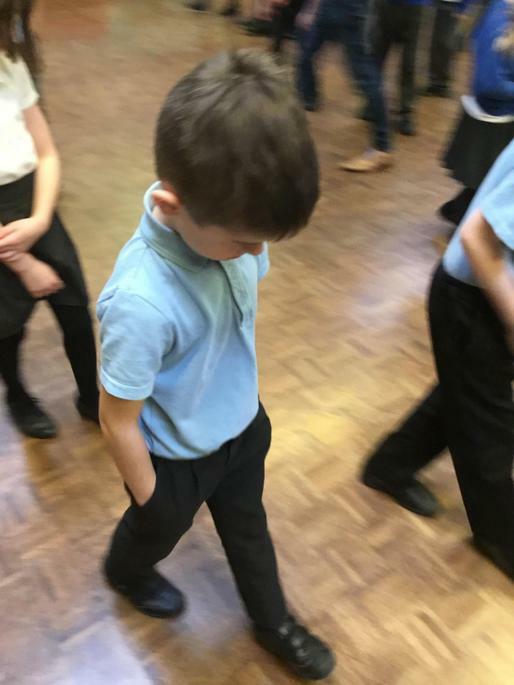 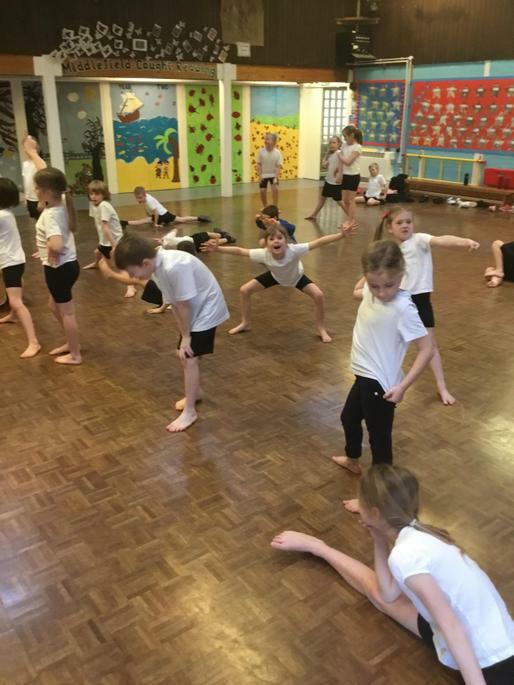 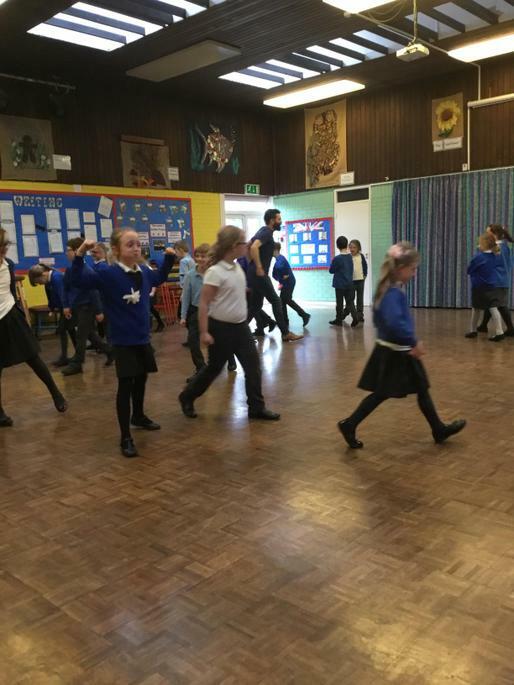 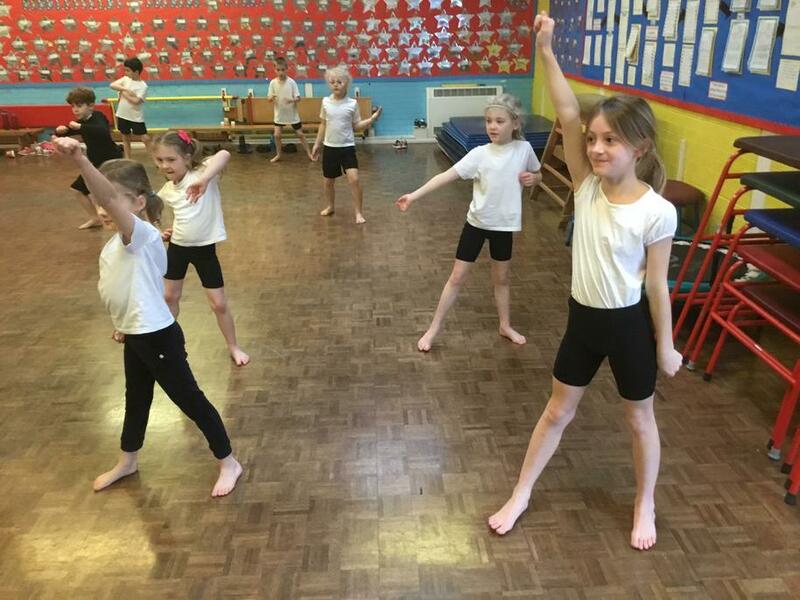 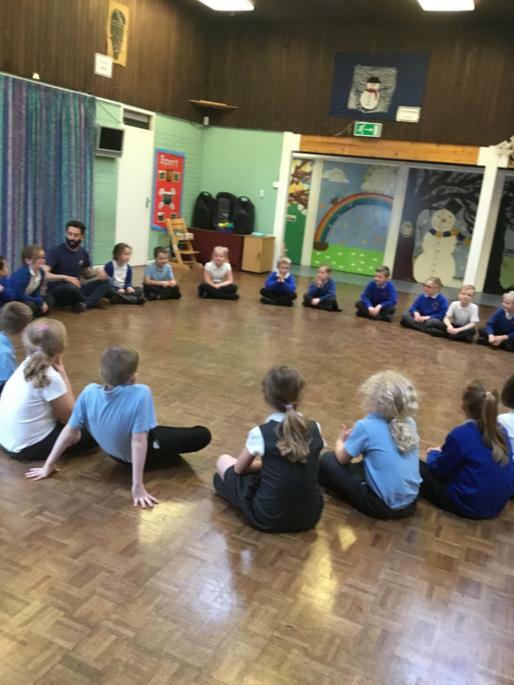 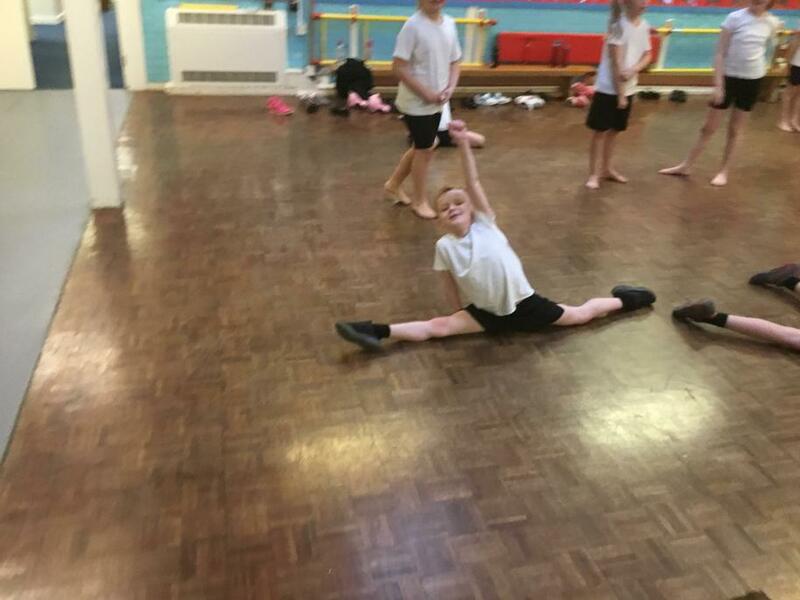 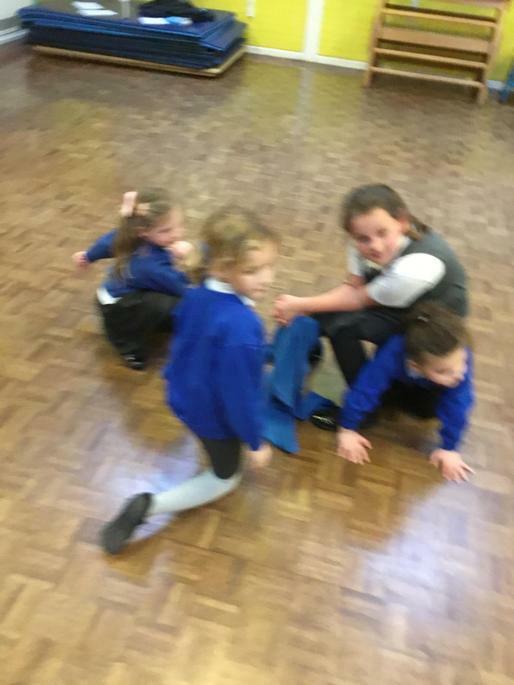 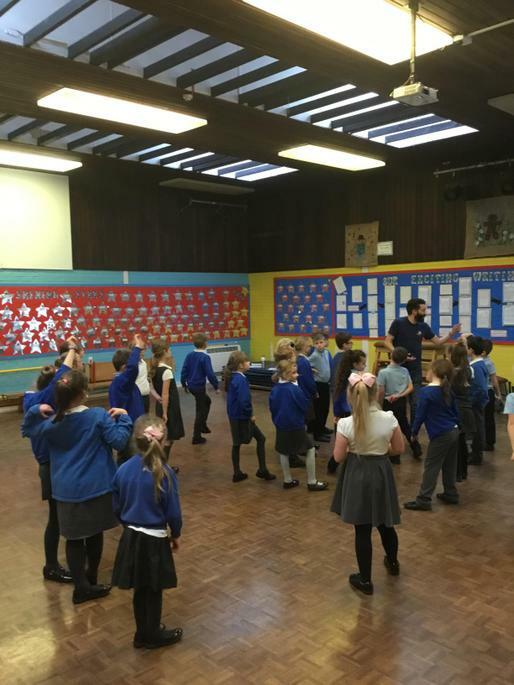 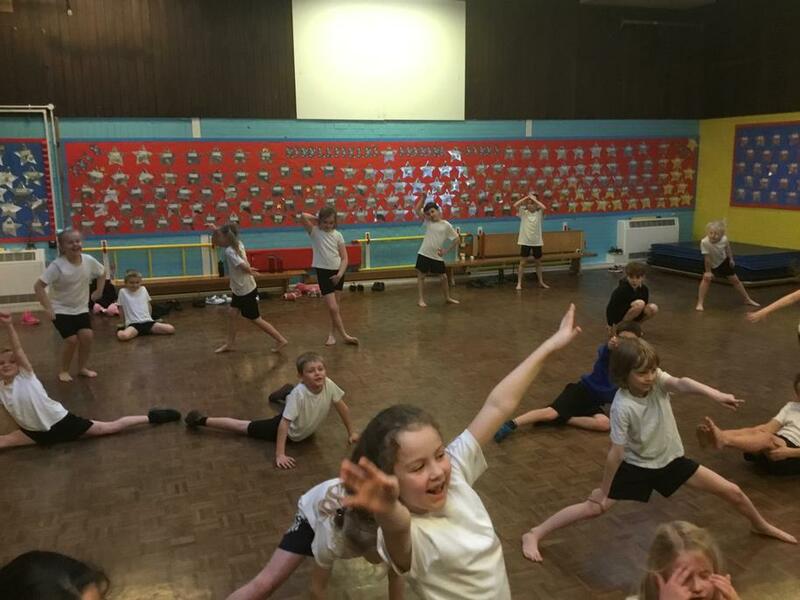 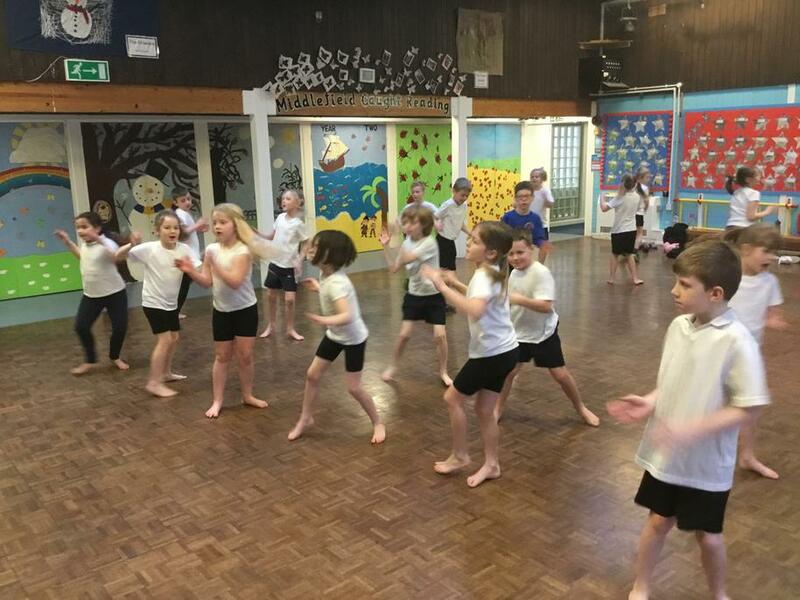 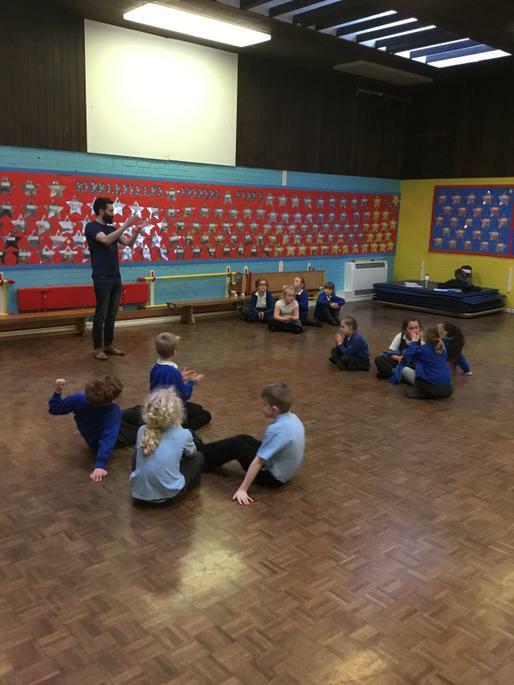 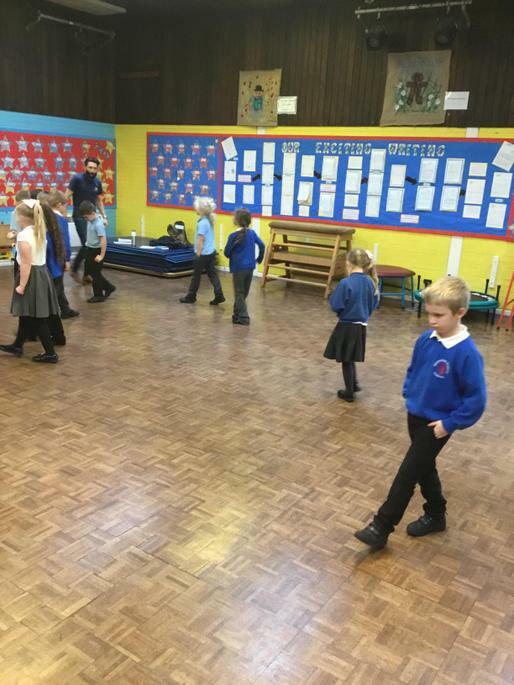 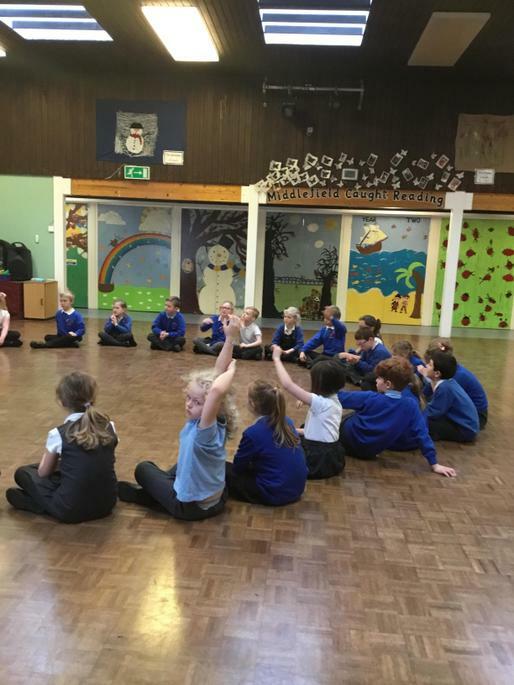 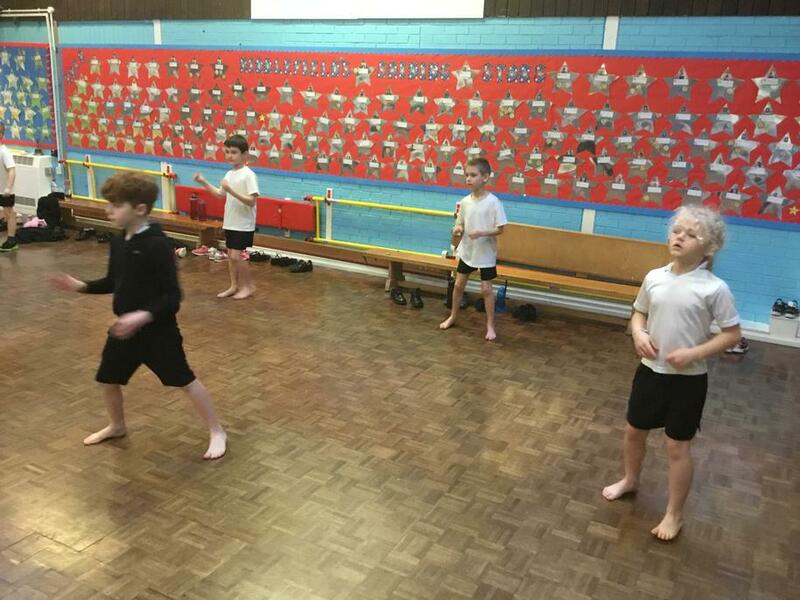 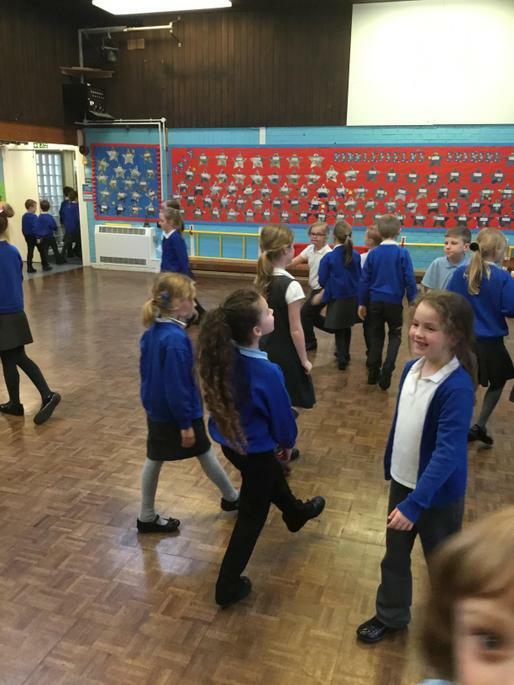 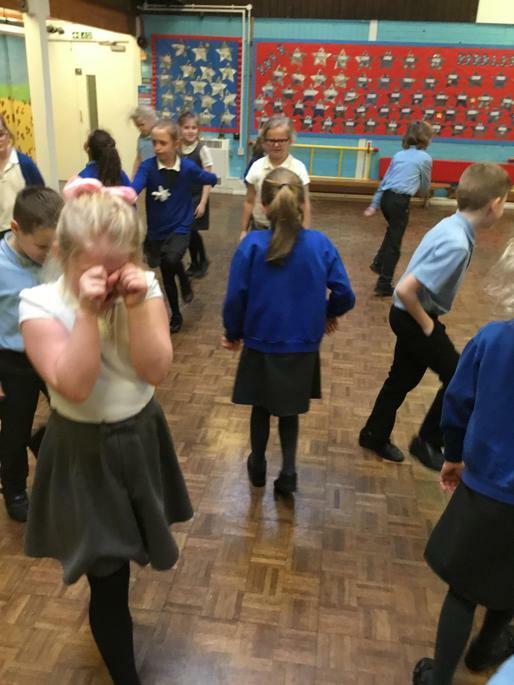 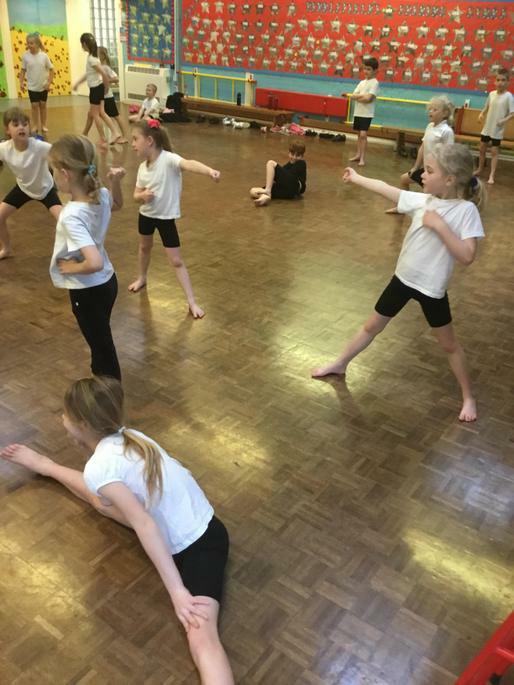 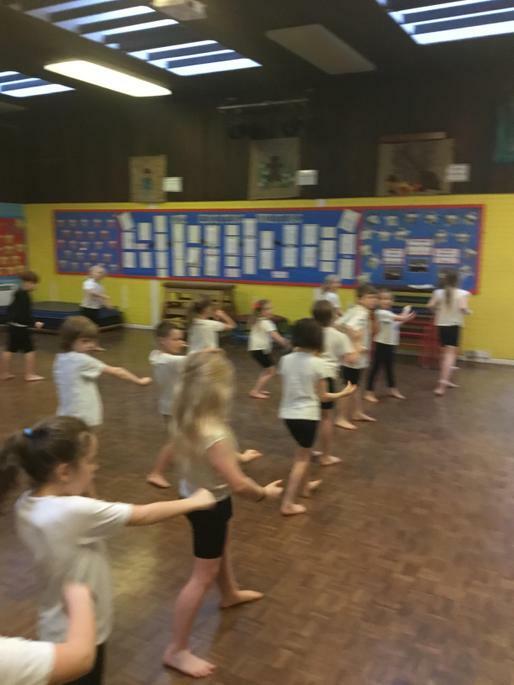 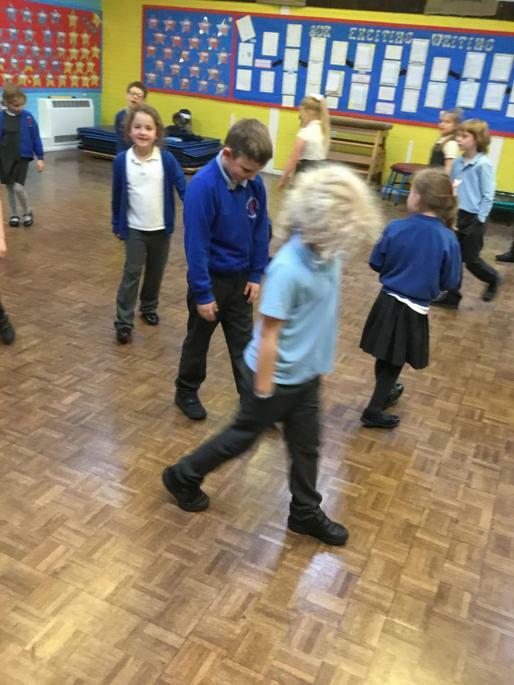 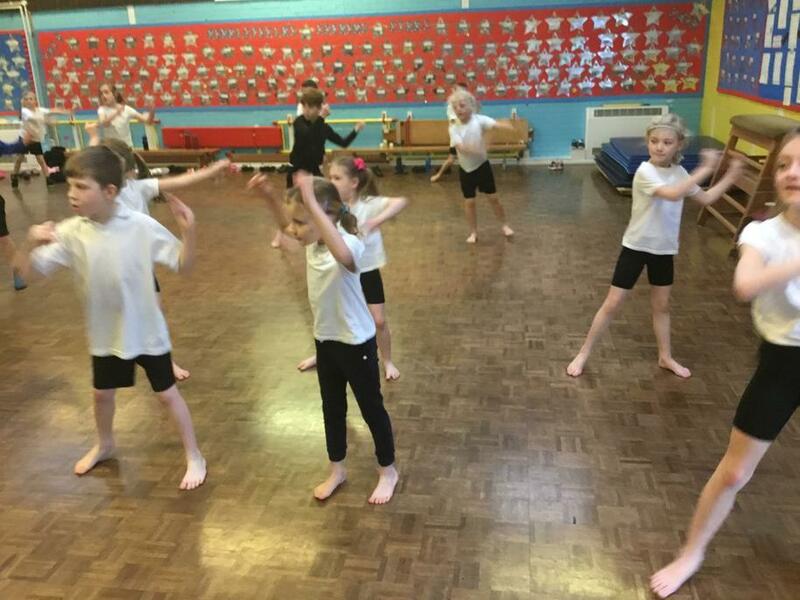 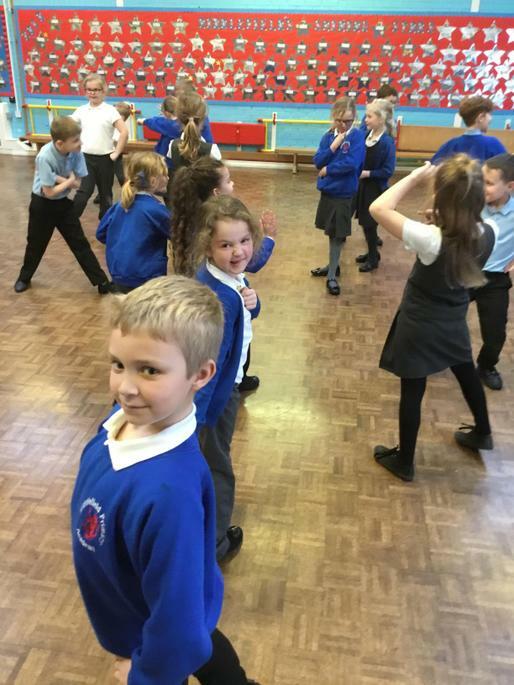 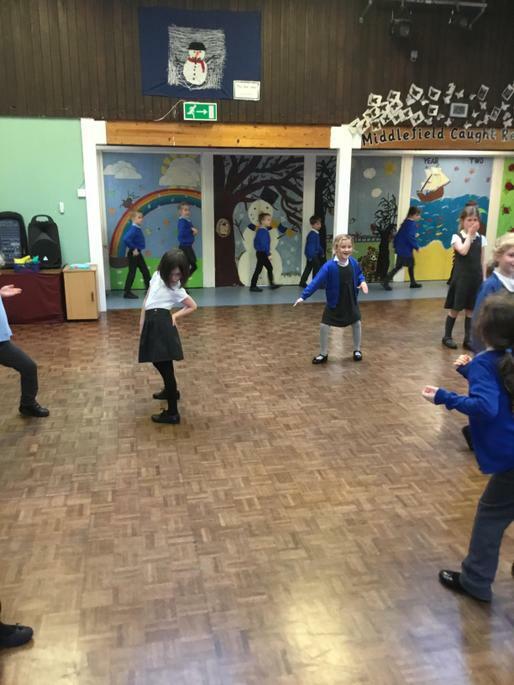 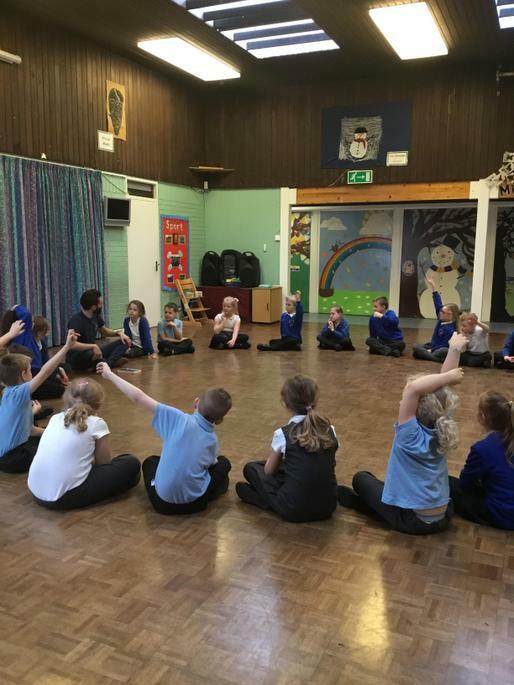 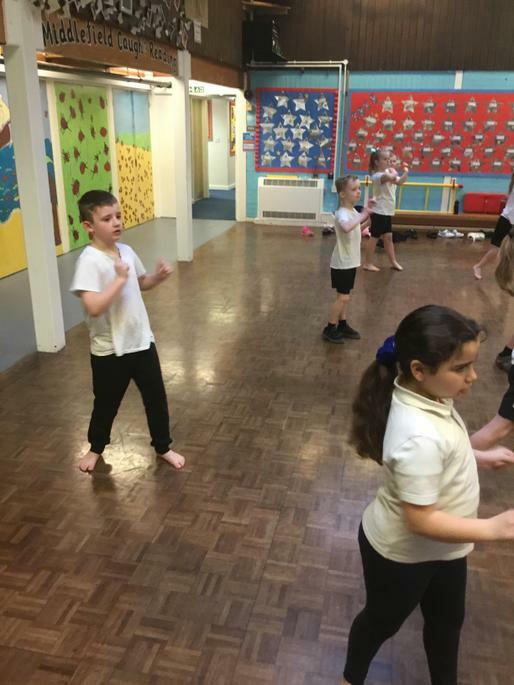 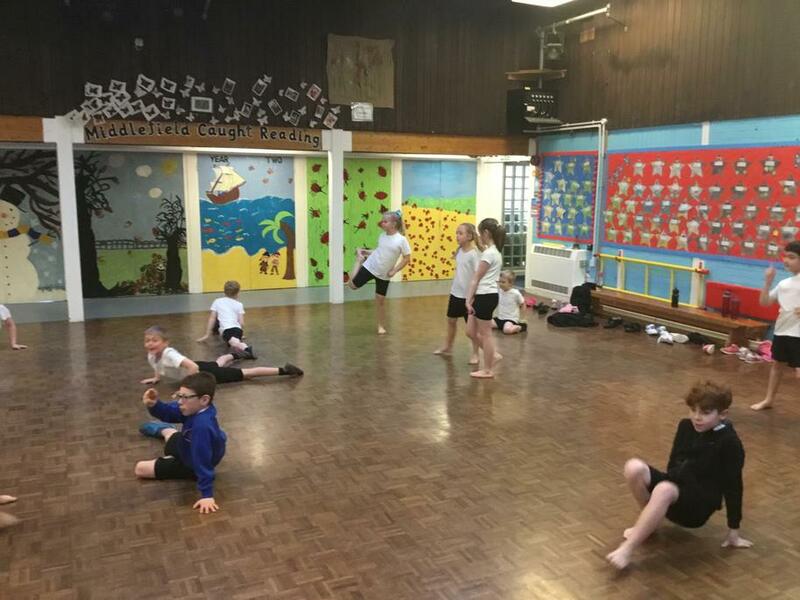 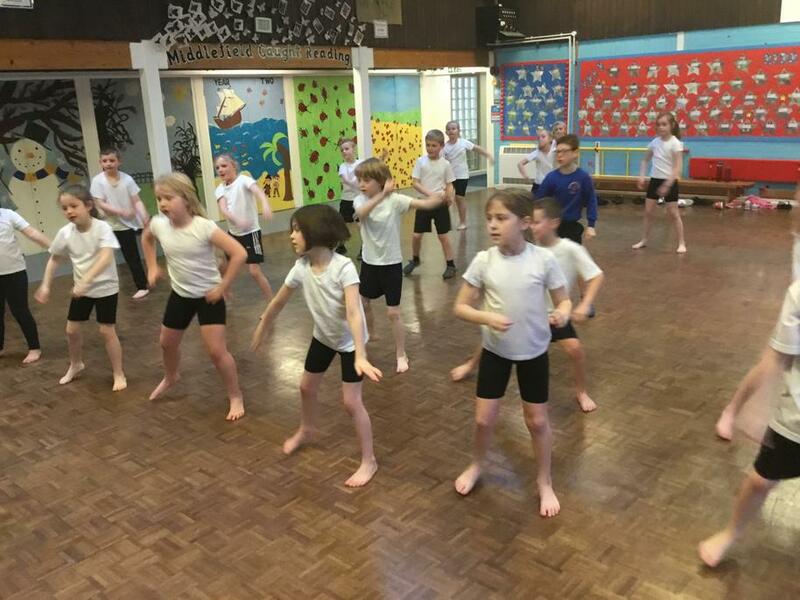 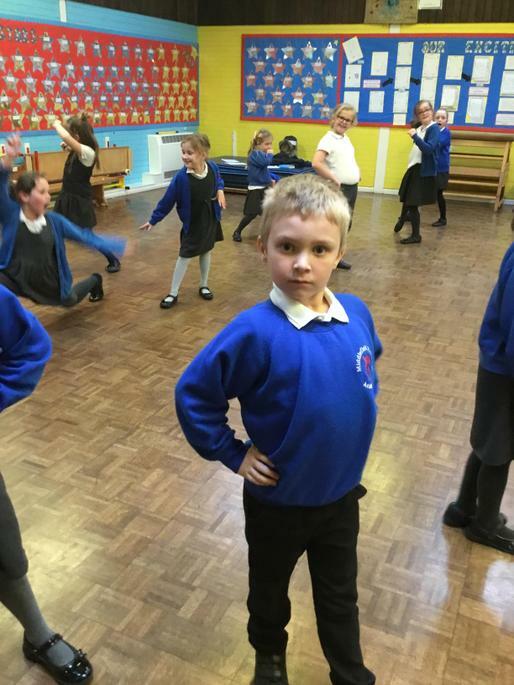 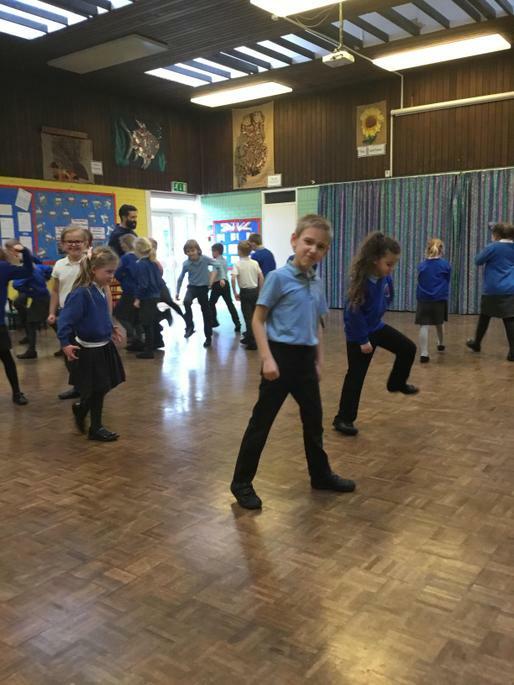 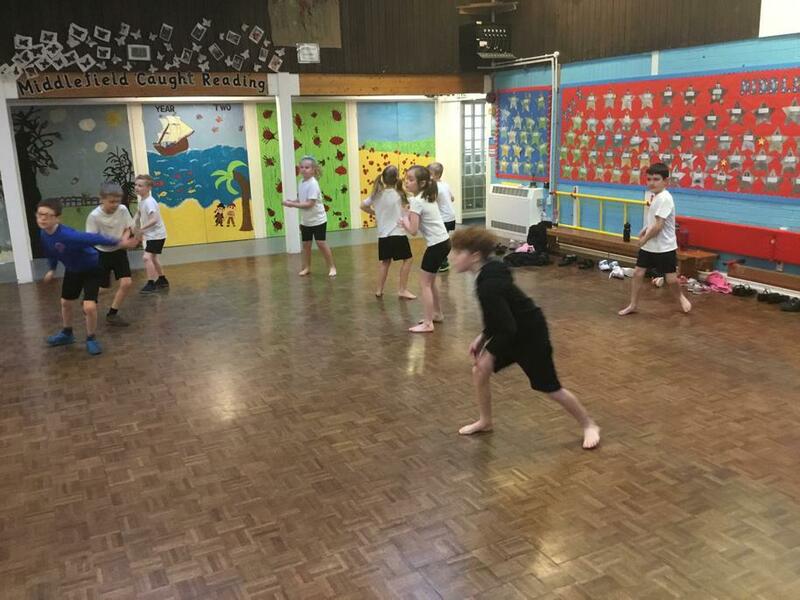 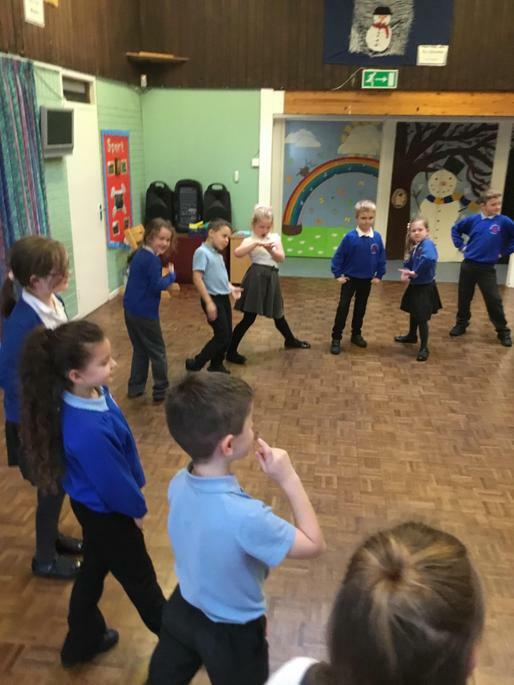 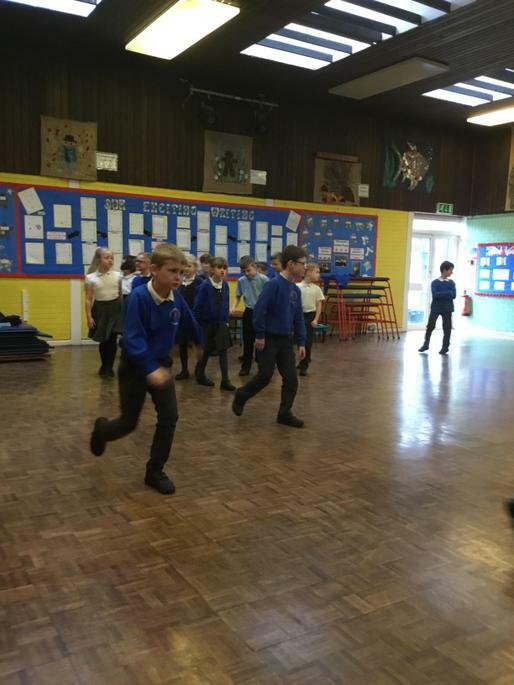 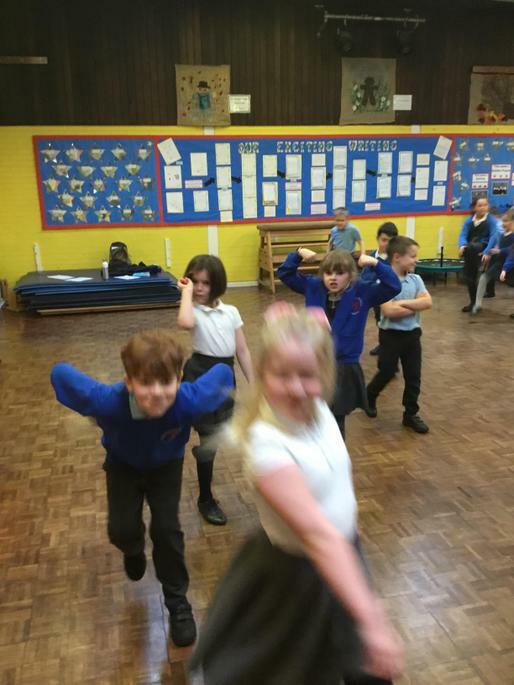 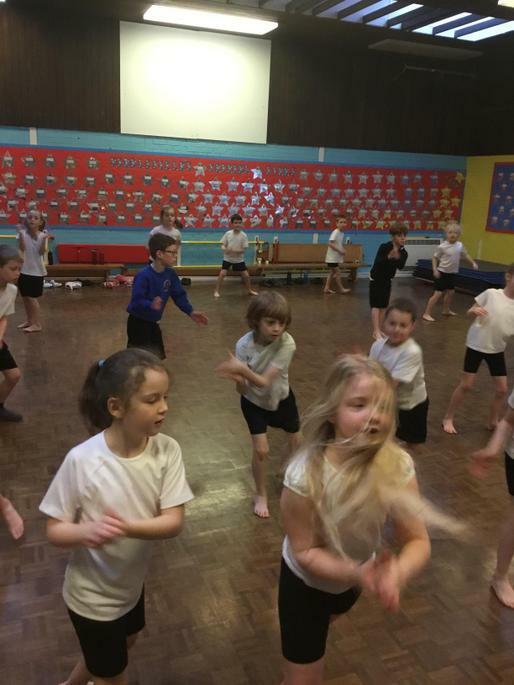 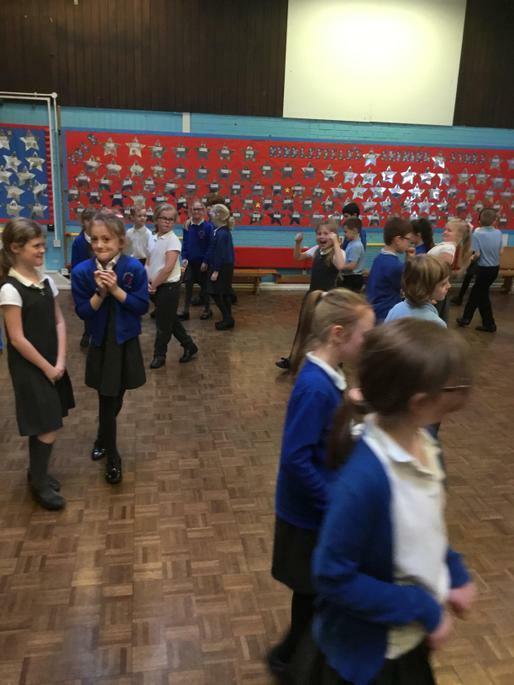 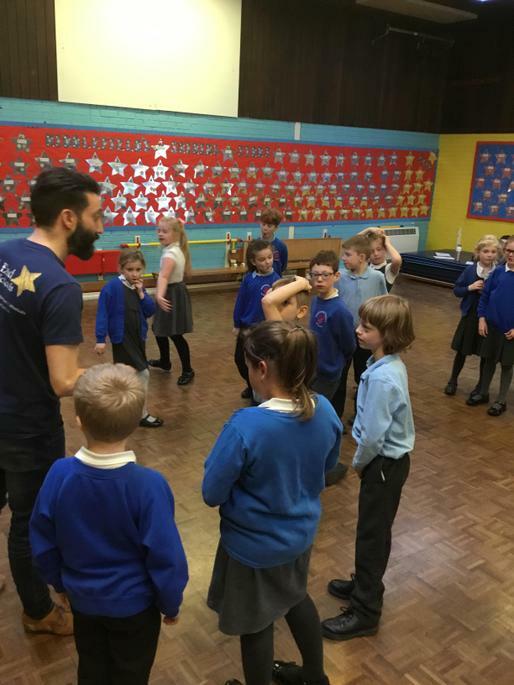 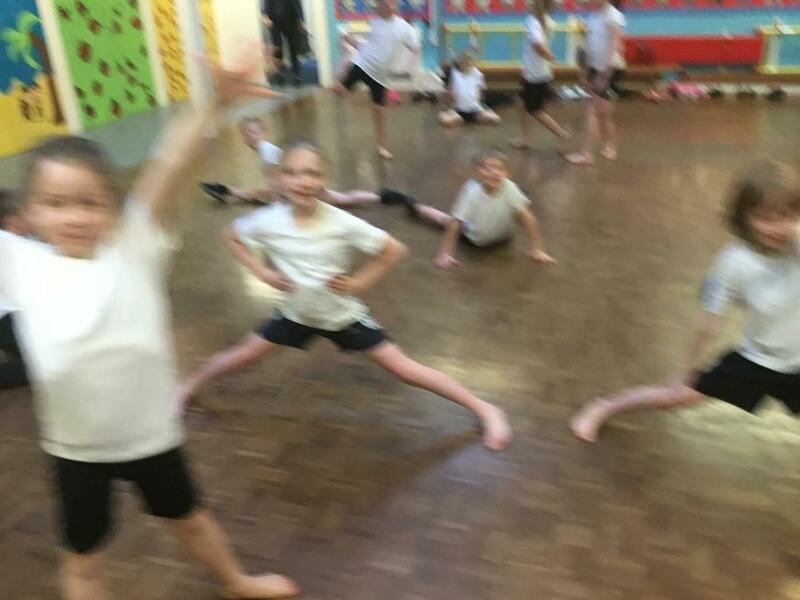 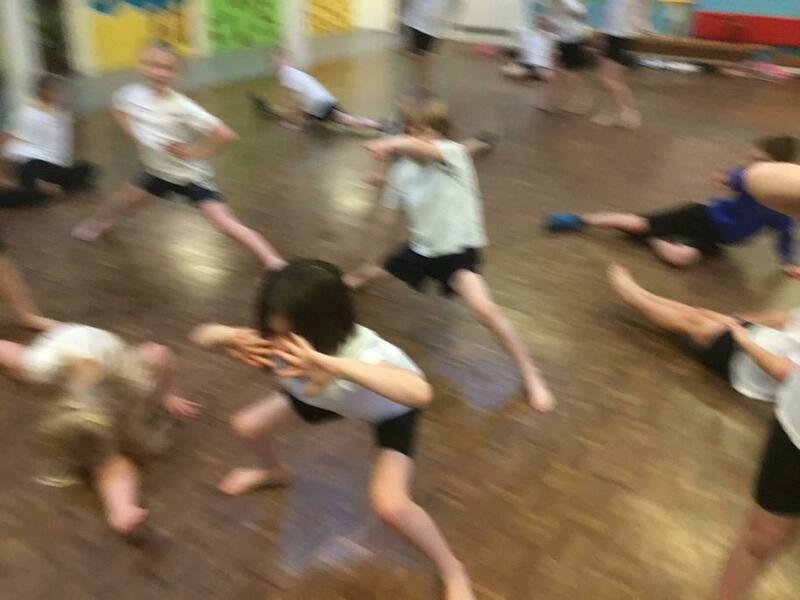 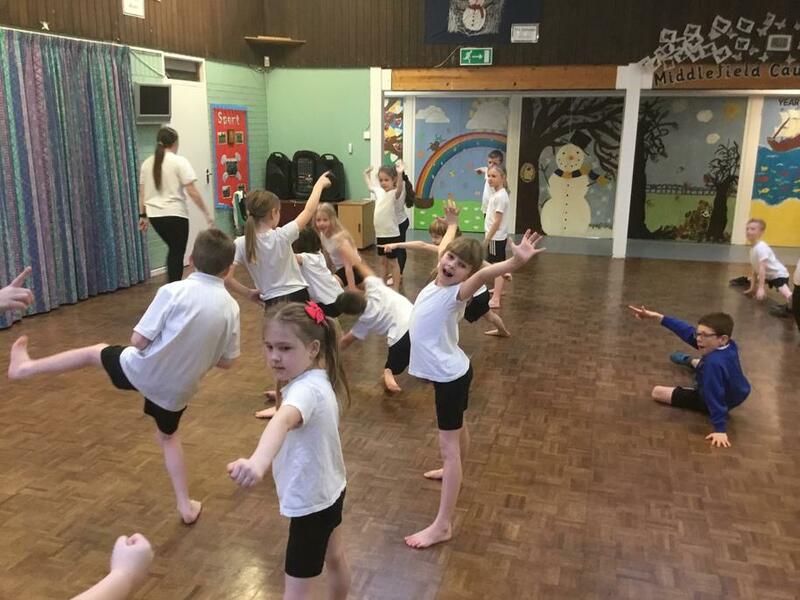 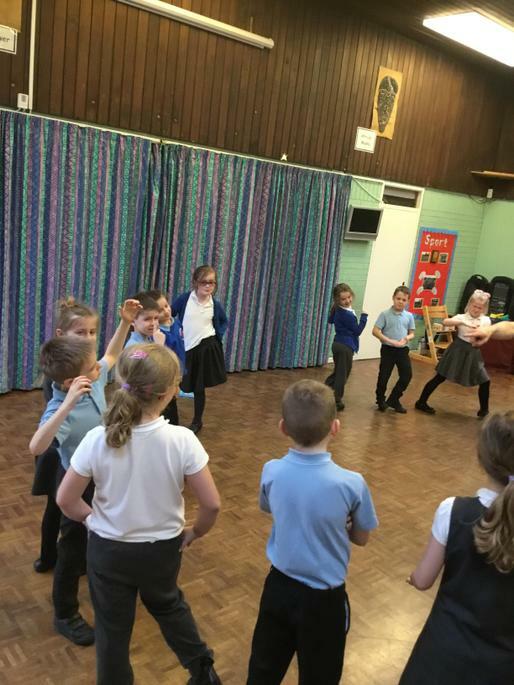 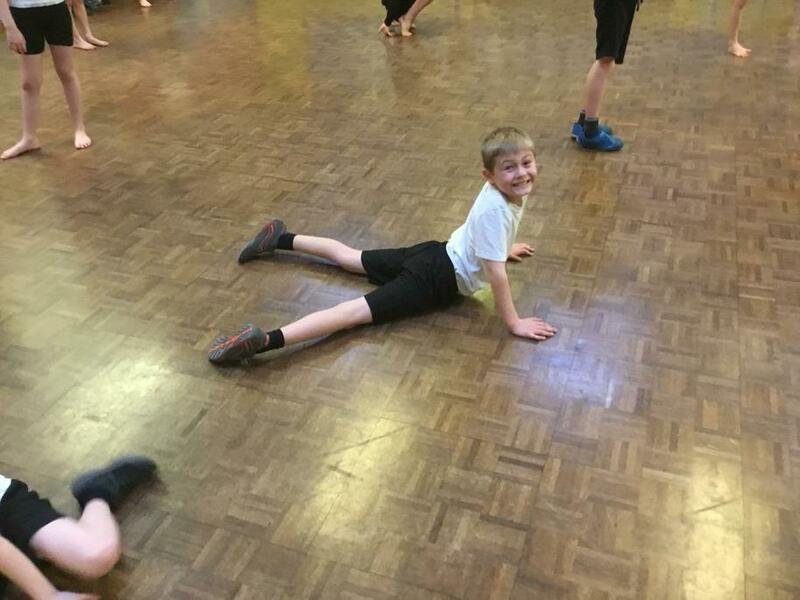 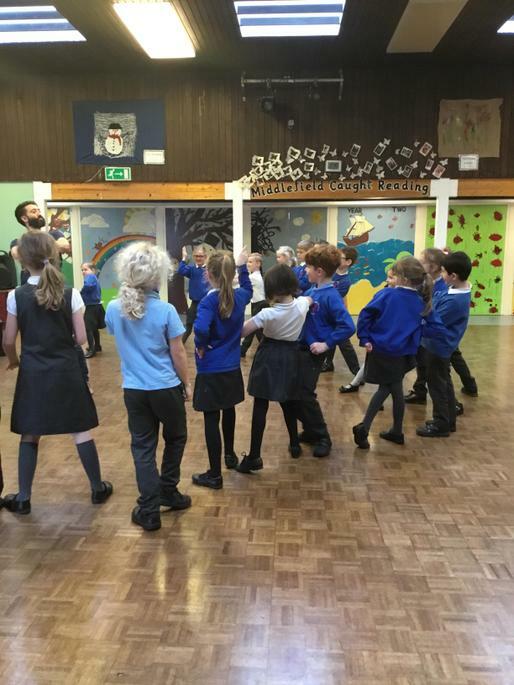 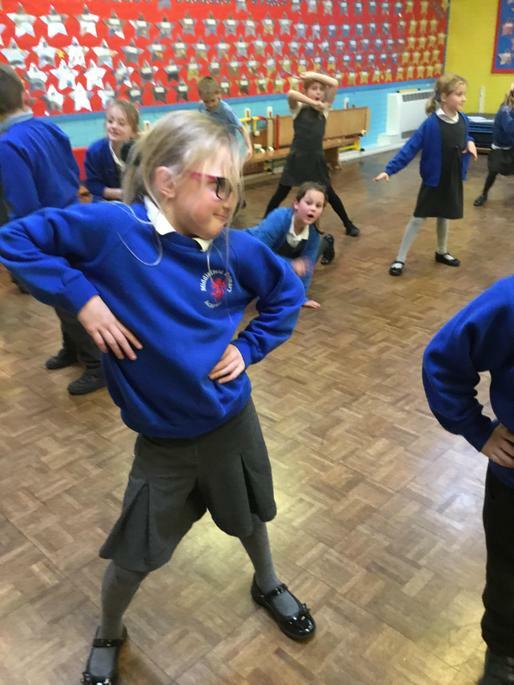 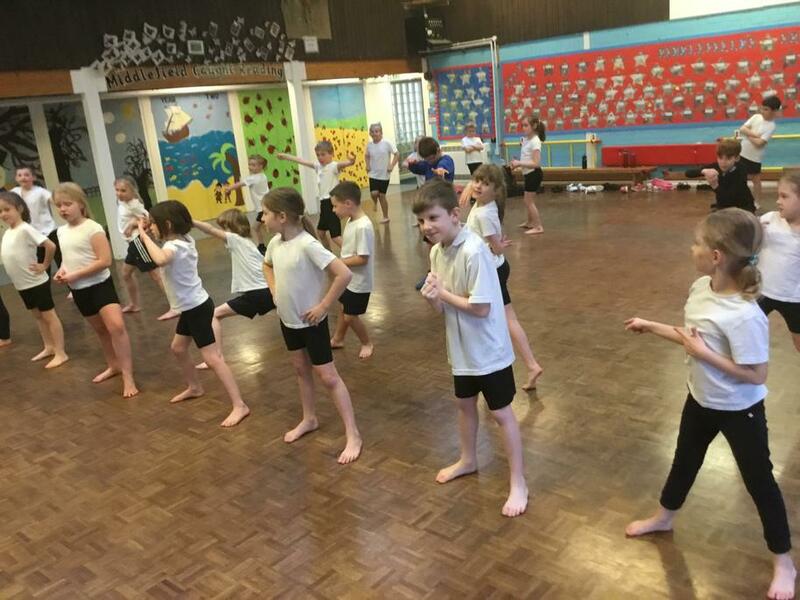 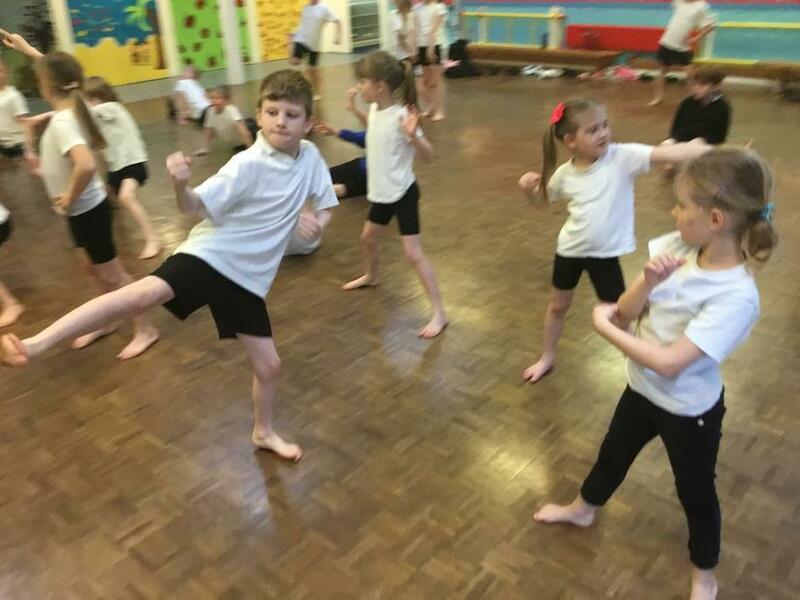 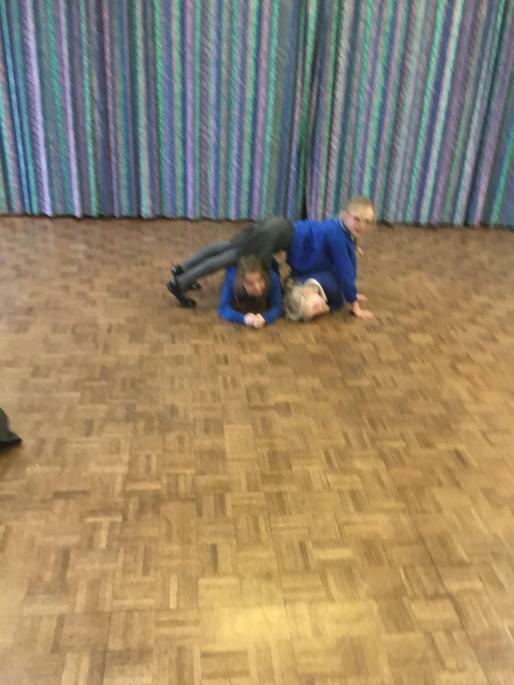 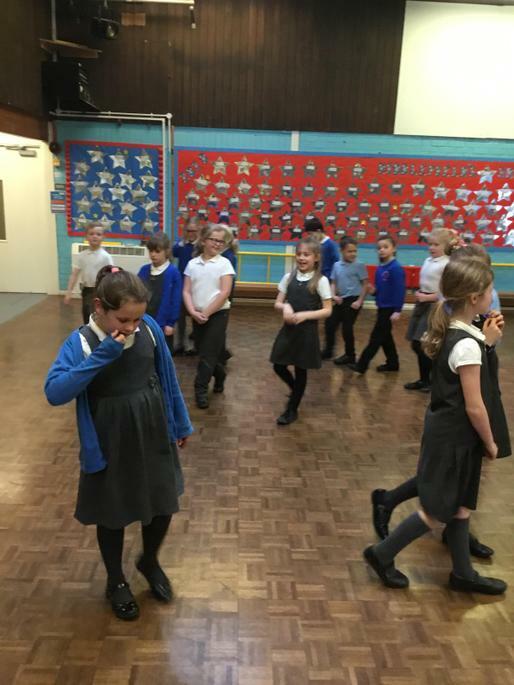 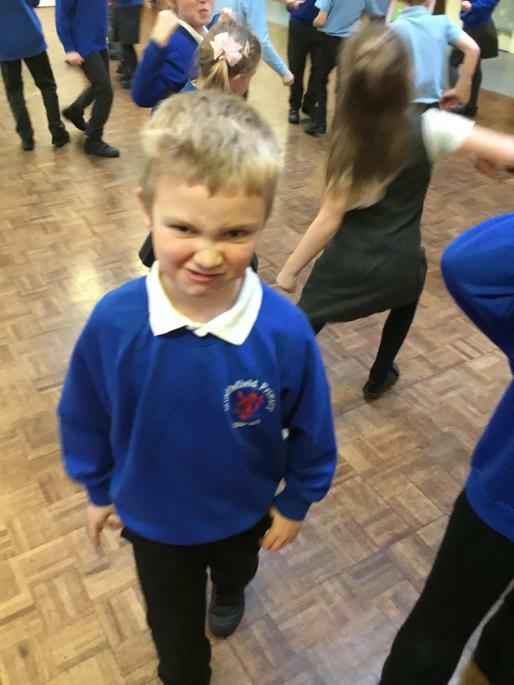 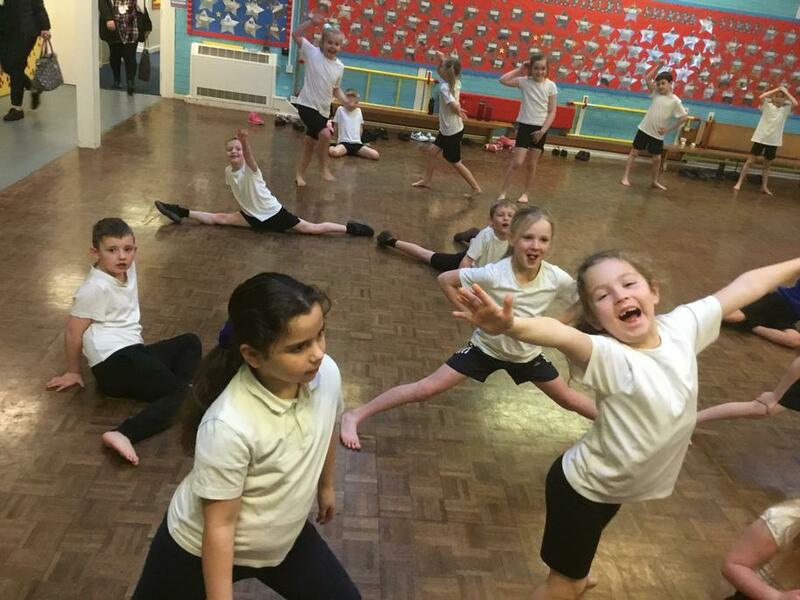 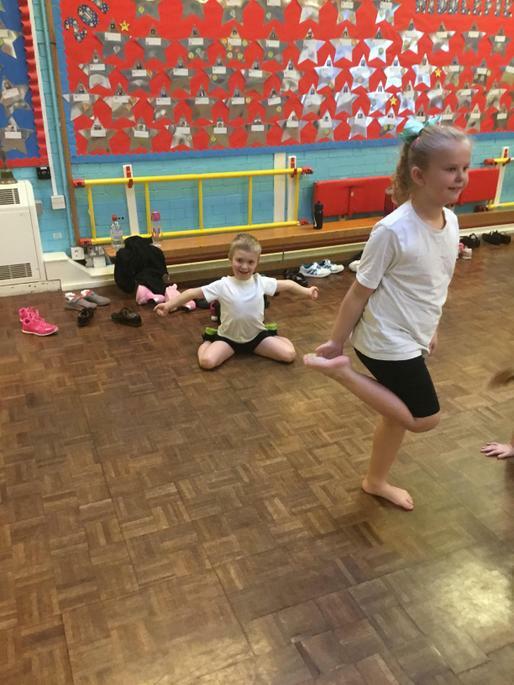 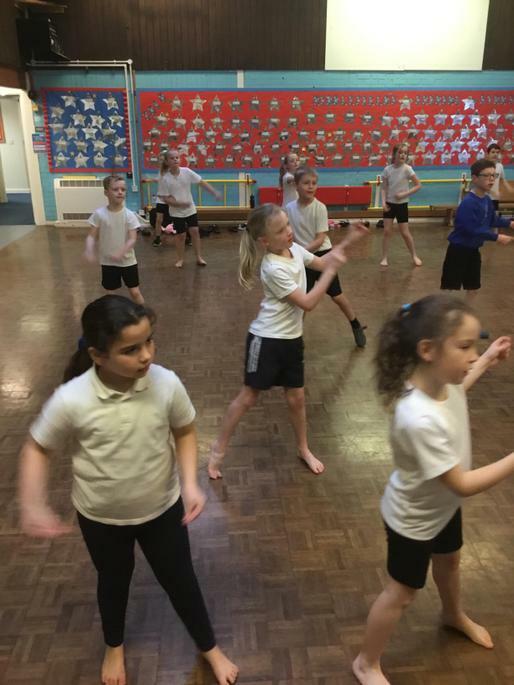 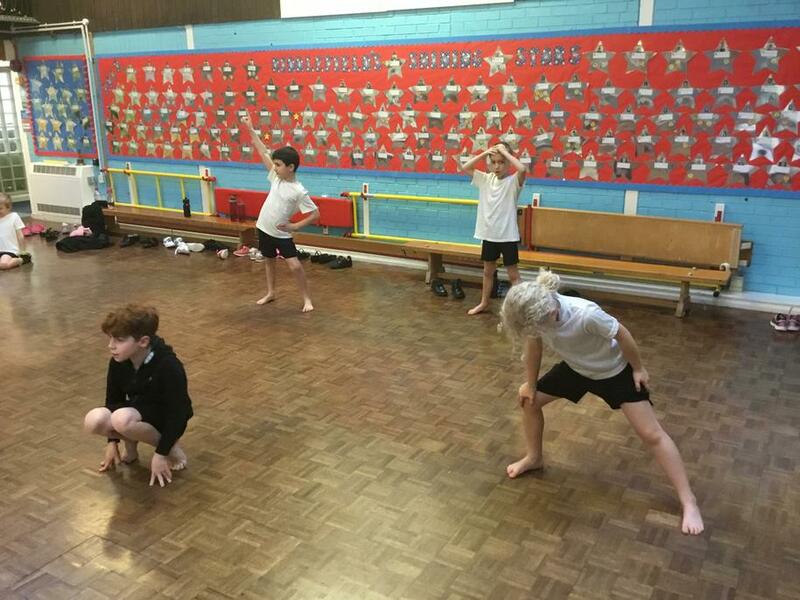 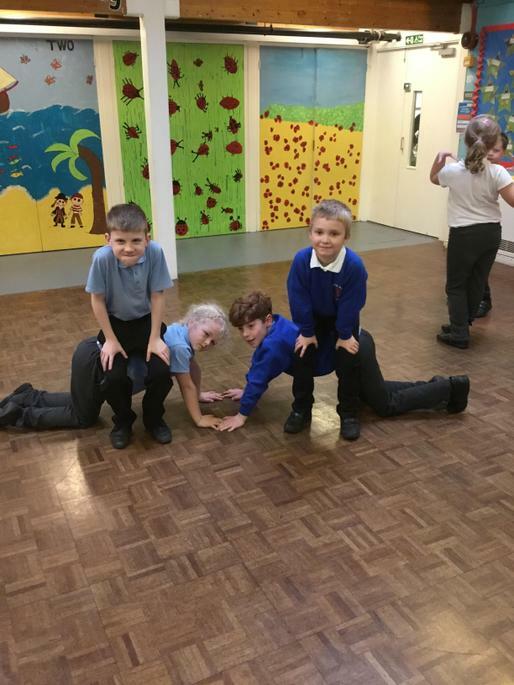 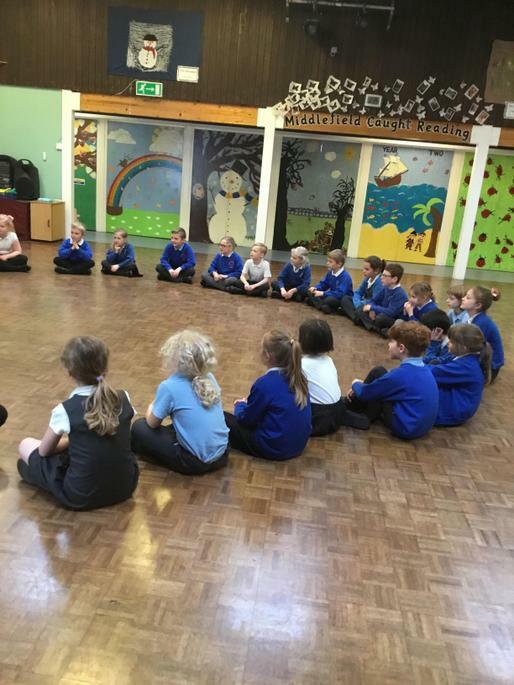 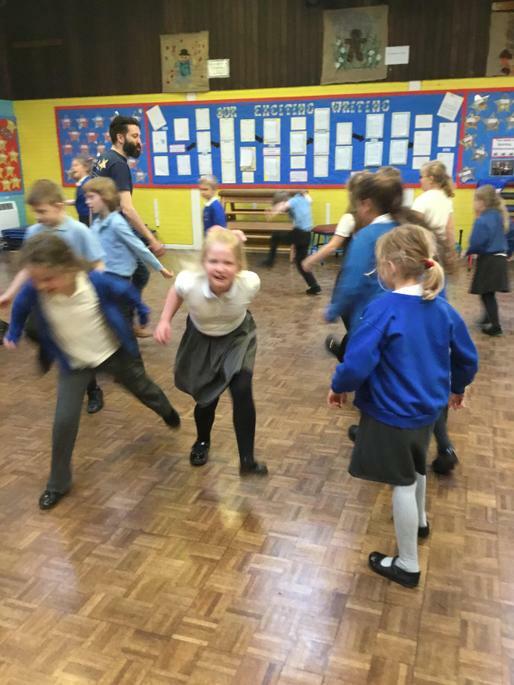 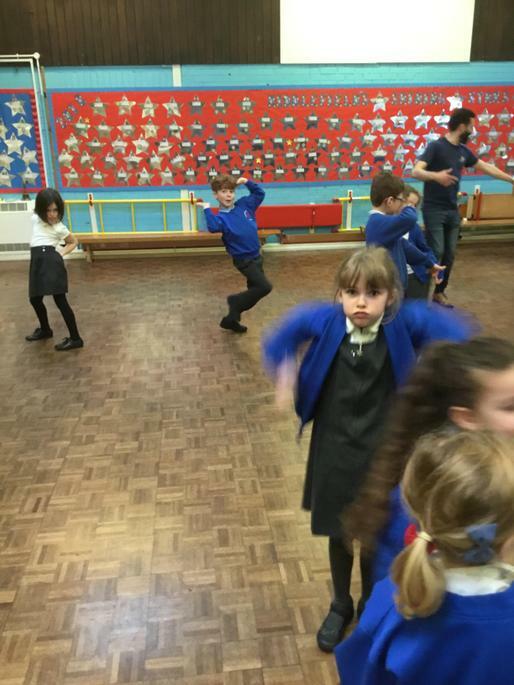 The children have been working hard in dance with Miss Jones. 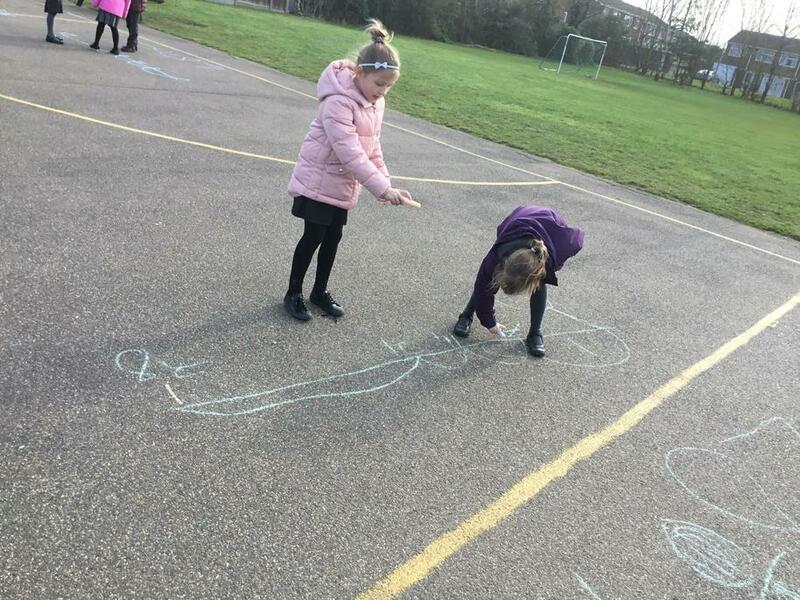 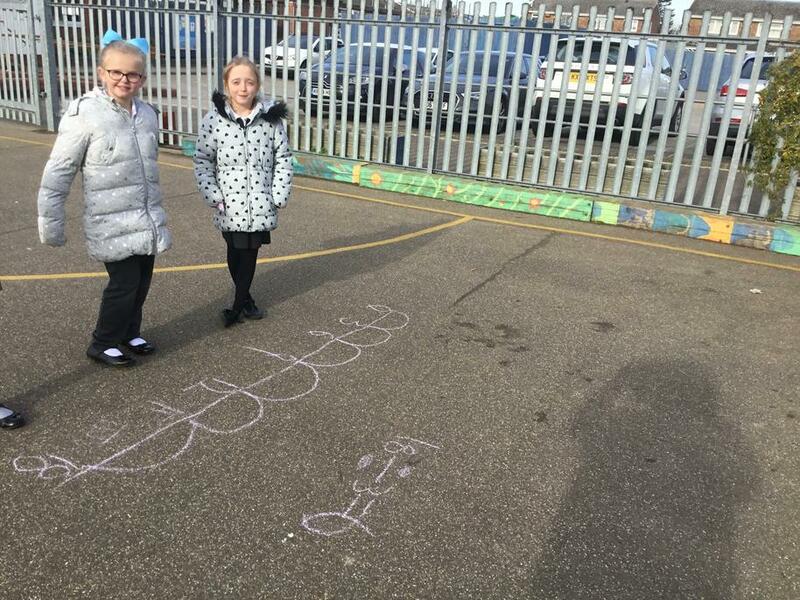 They have been learning to control their bodies in different ways, while working together to create sequences and phrases.